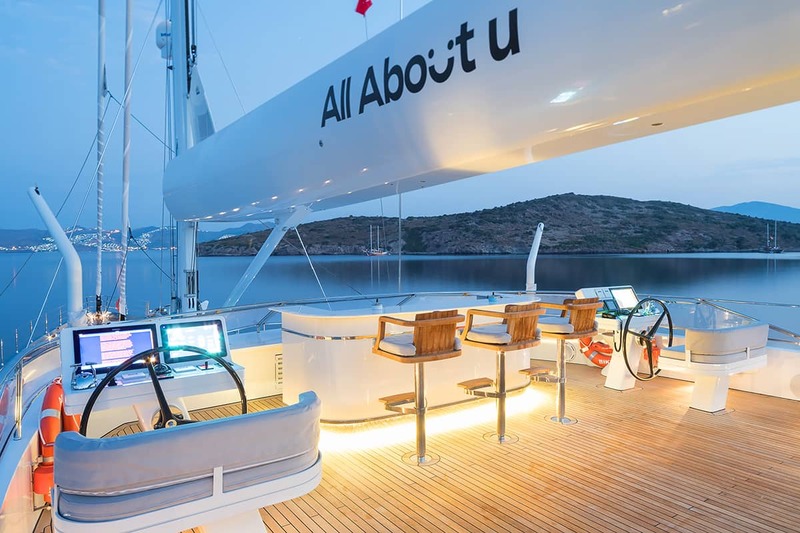 Have a question about All About U? 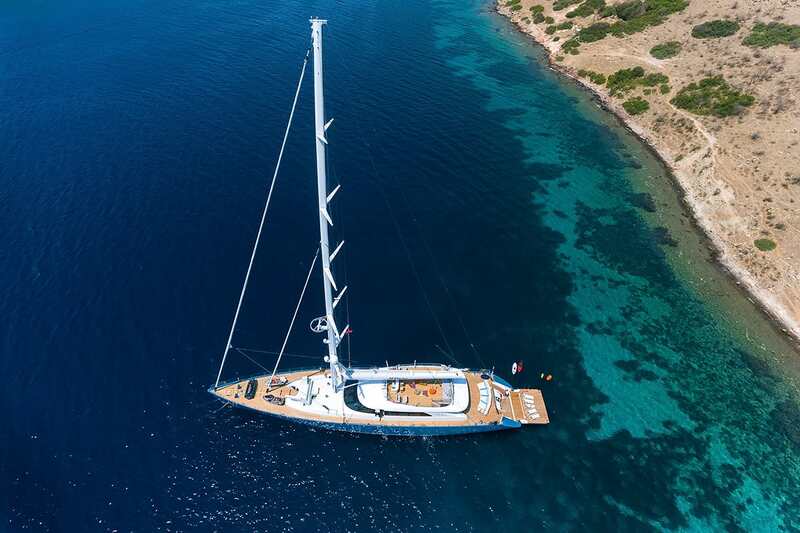 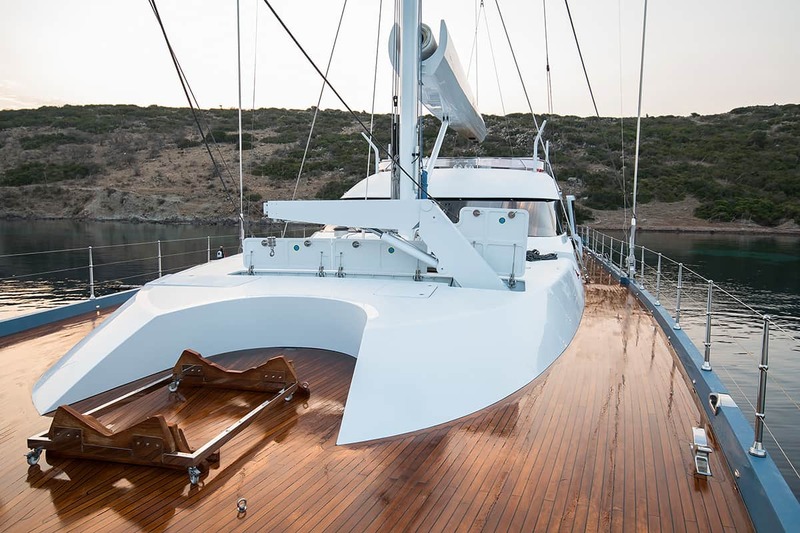 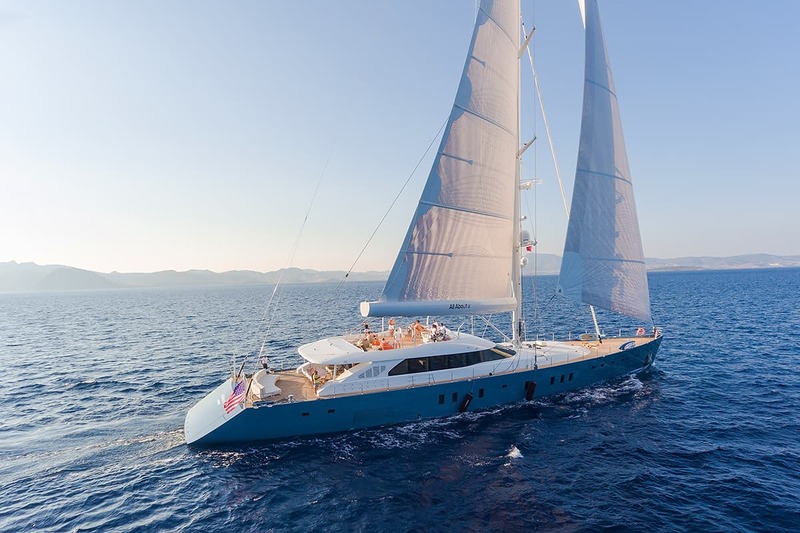 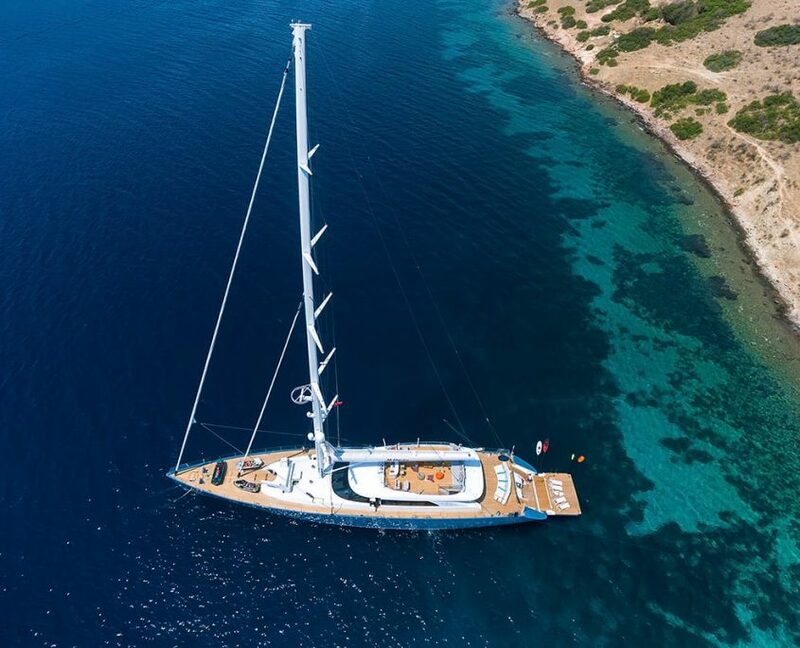 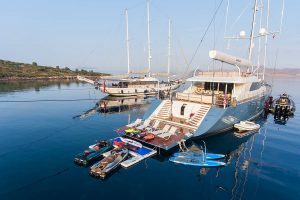 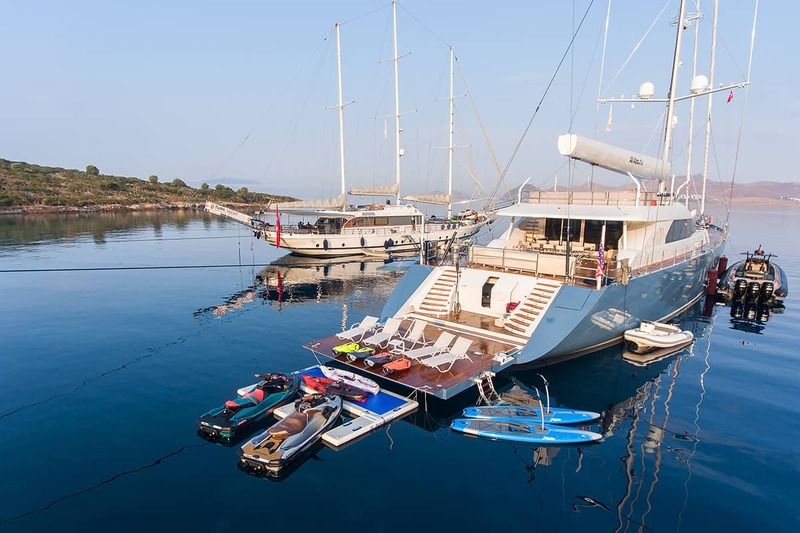 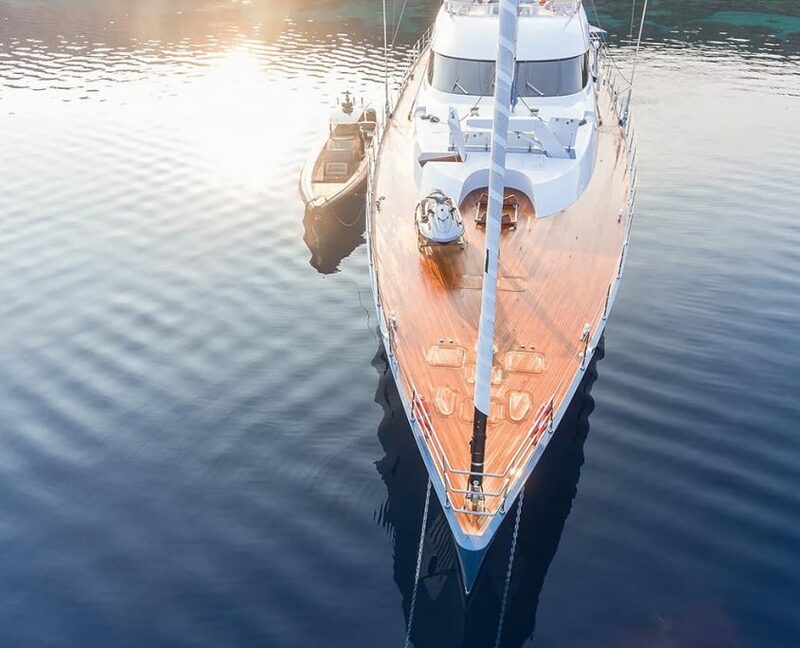 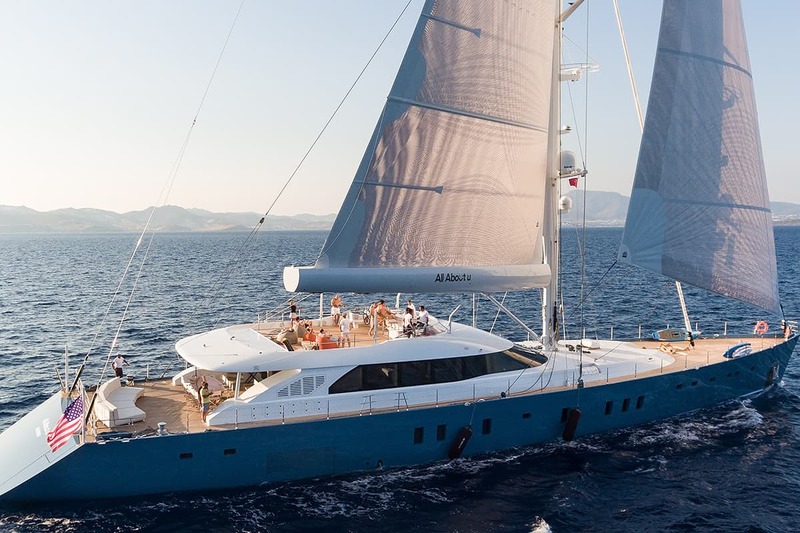 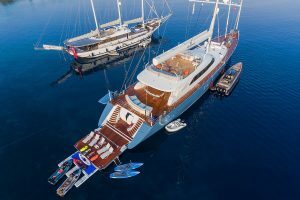 For an exact price calculation, special deals and good advice on how to charter this gulet, please contact our sales team. 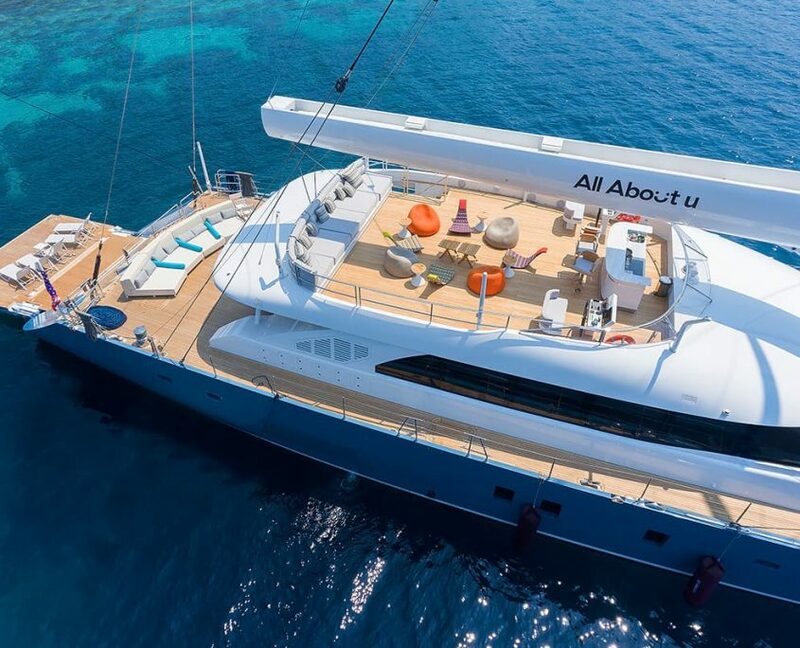 All prices are based in EUROs. 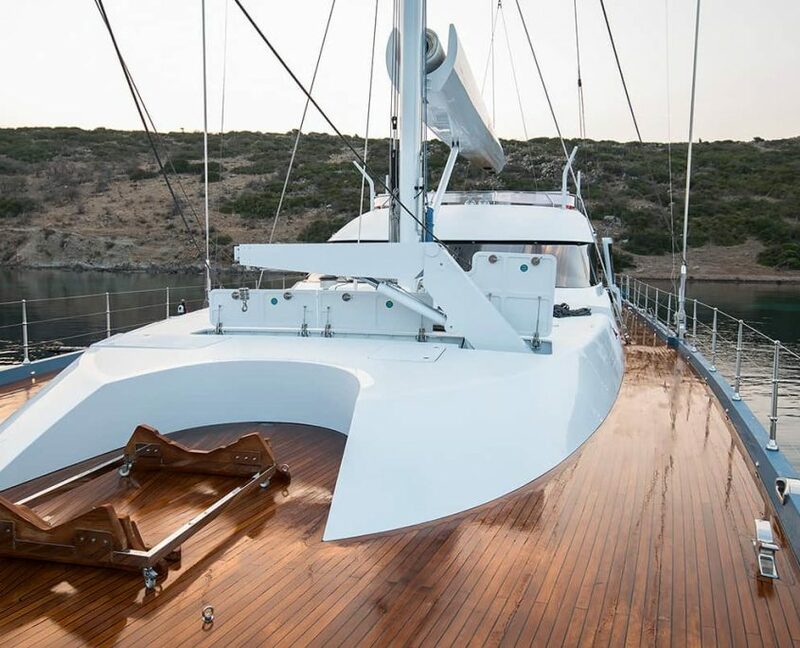 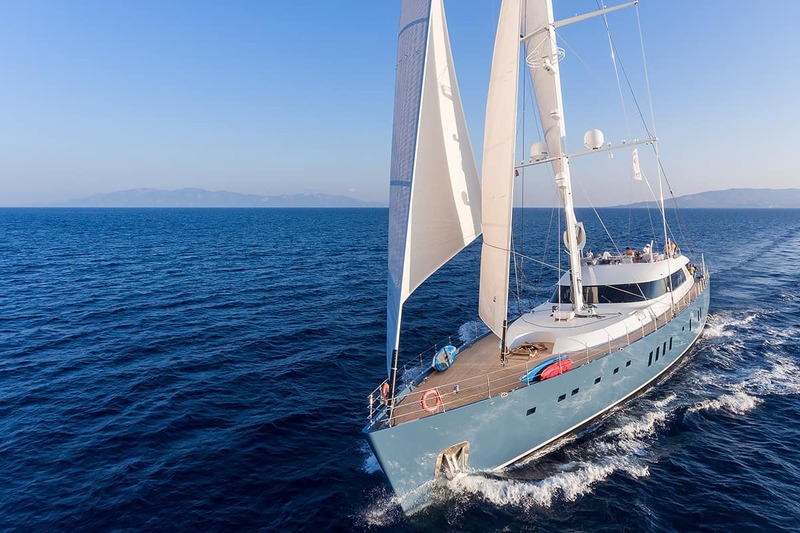 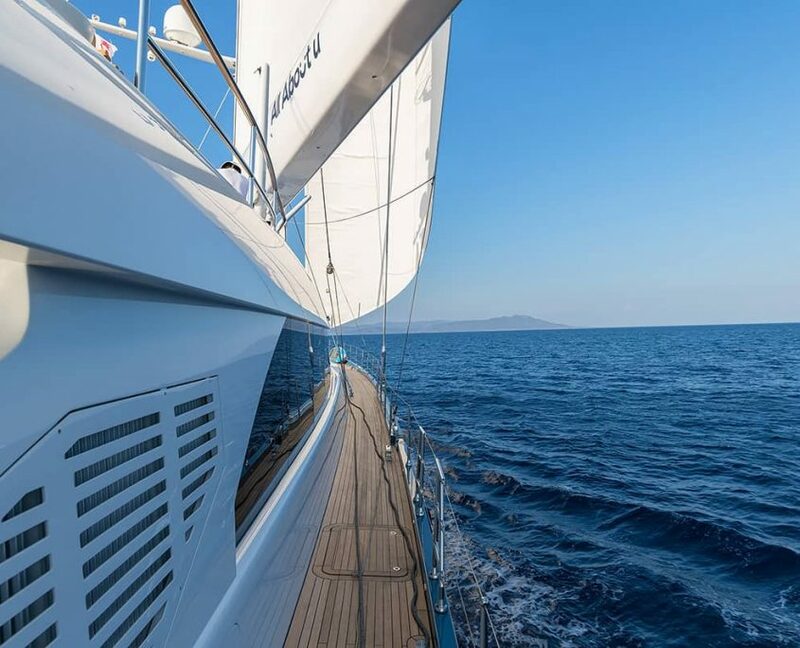 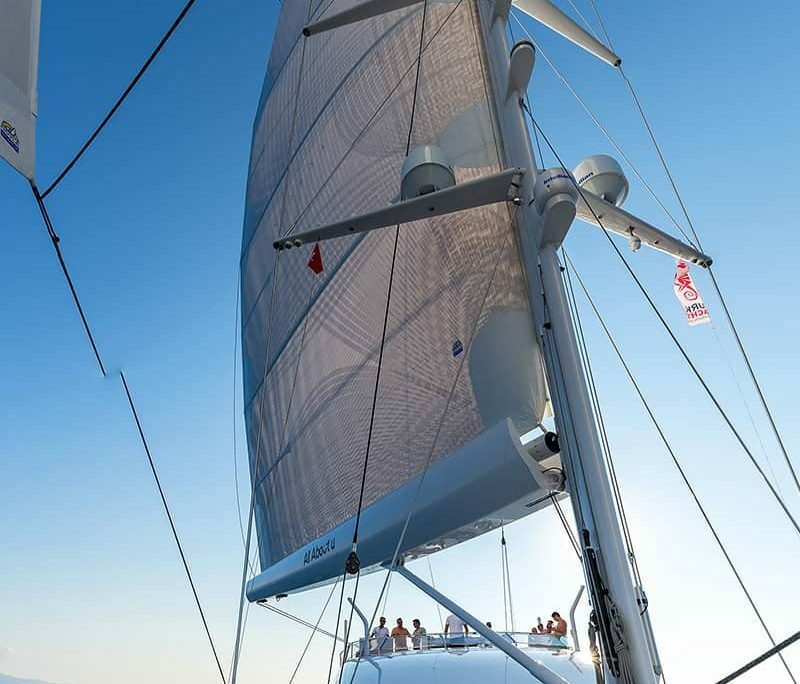 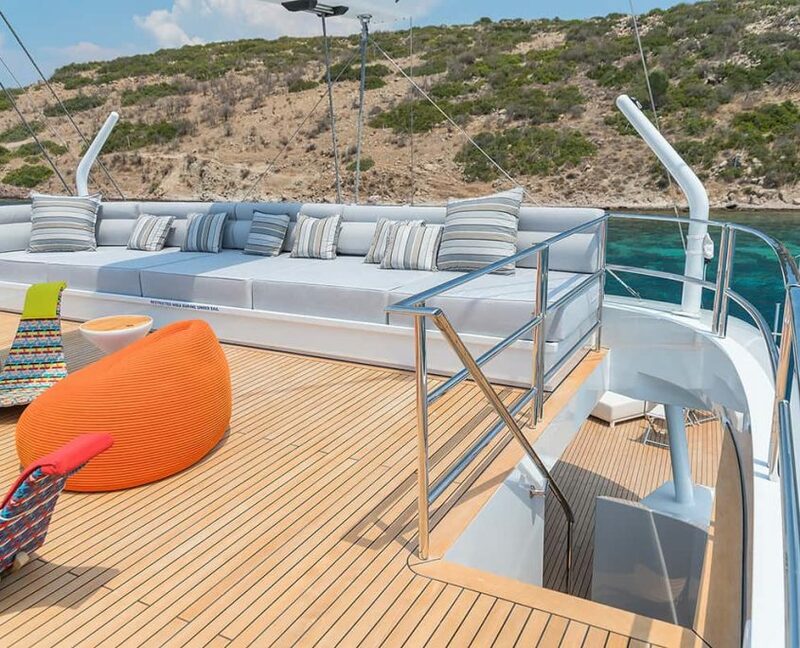 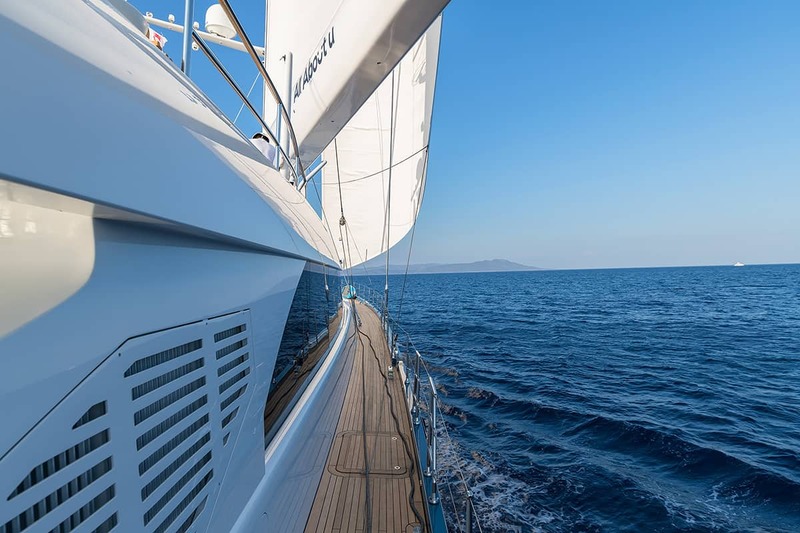 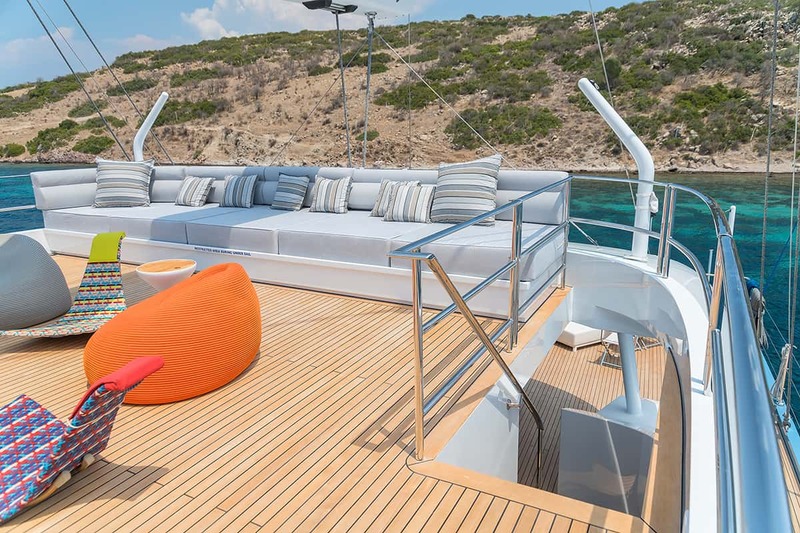 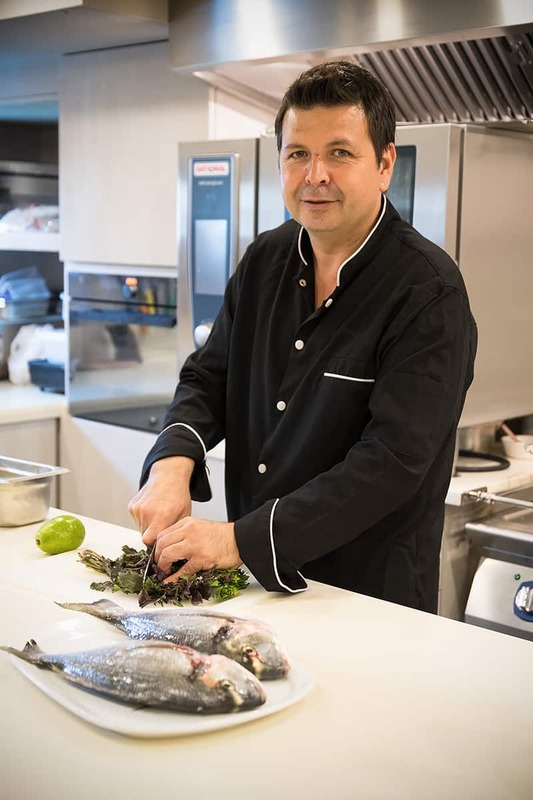 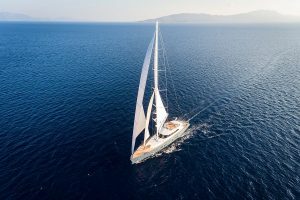 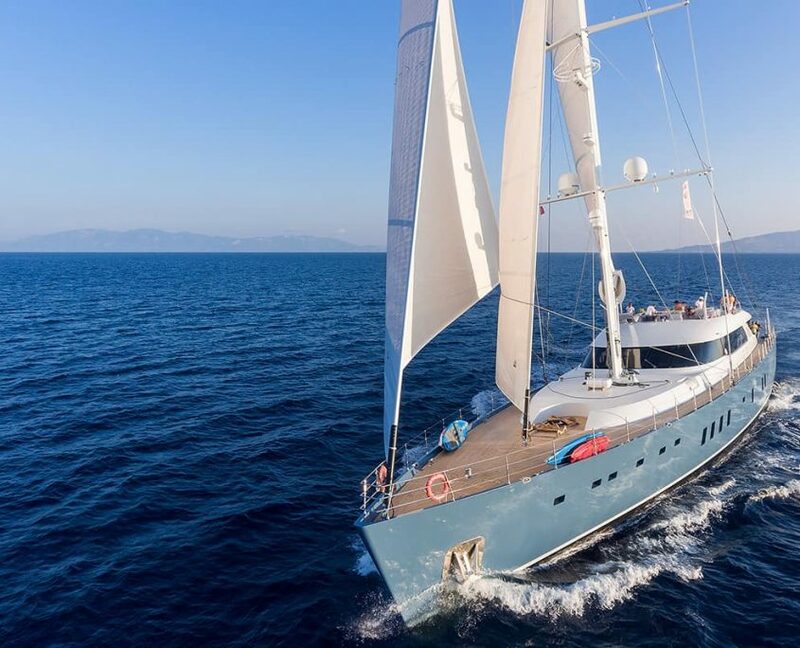 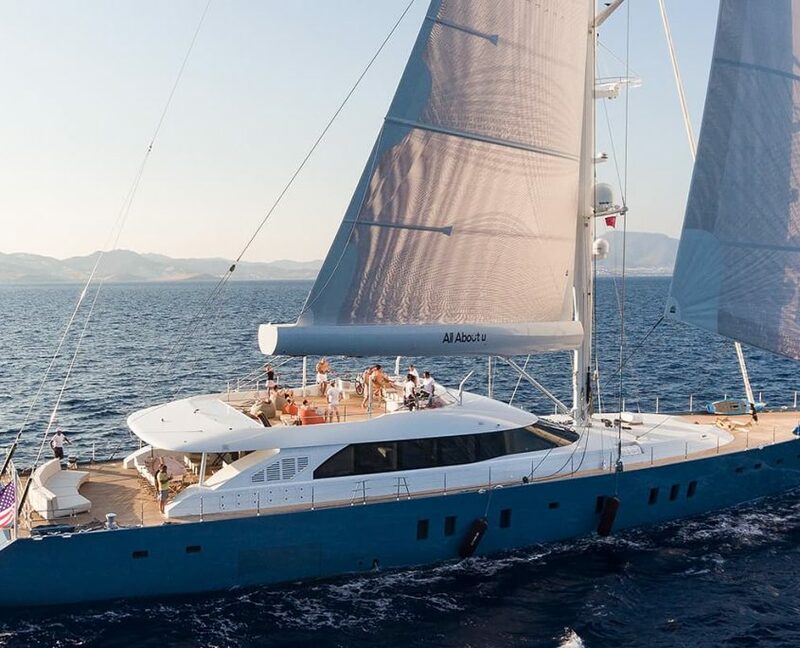 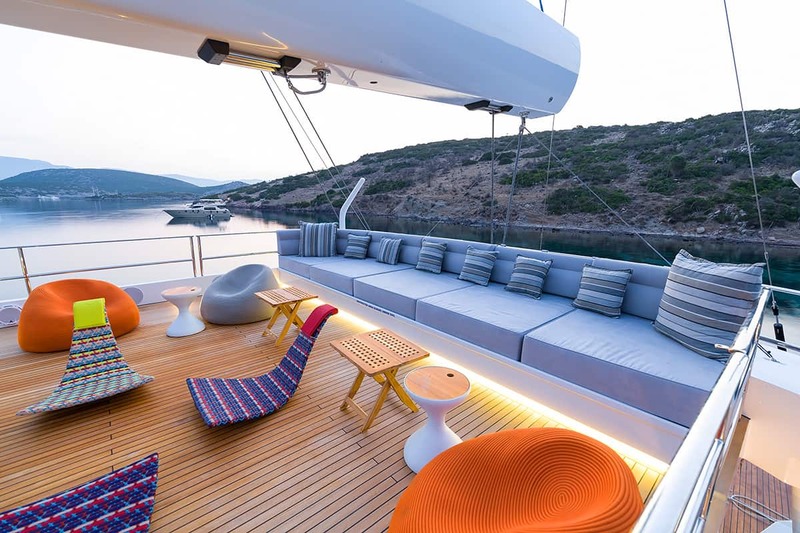 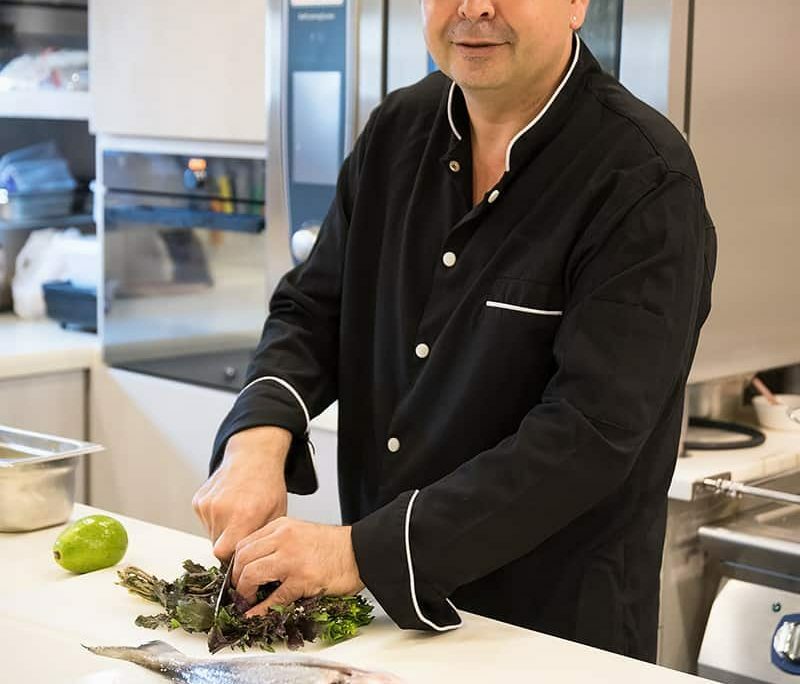 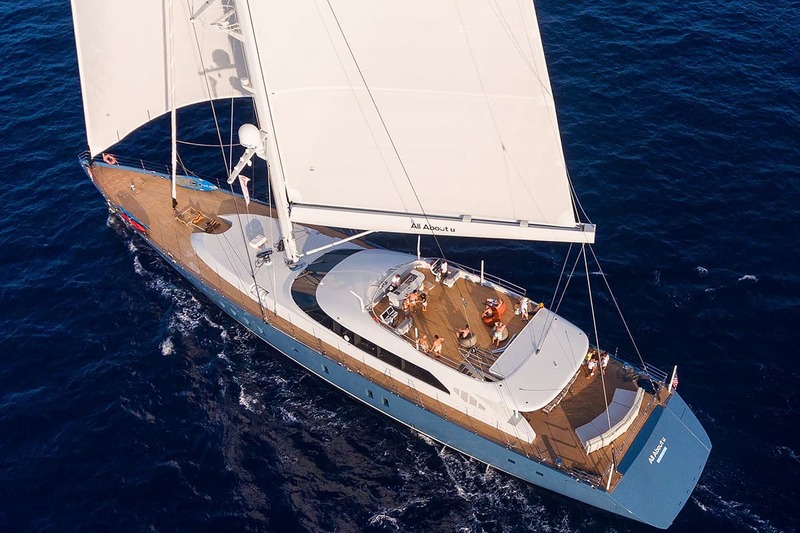 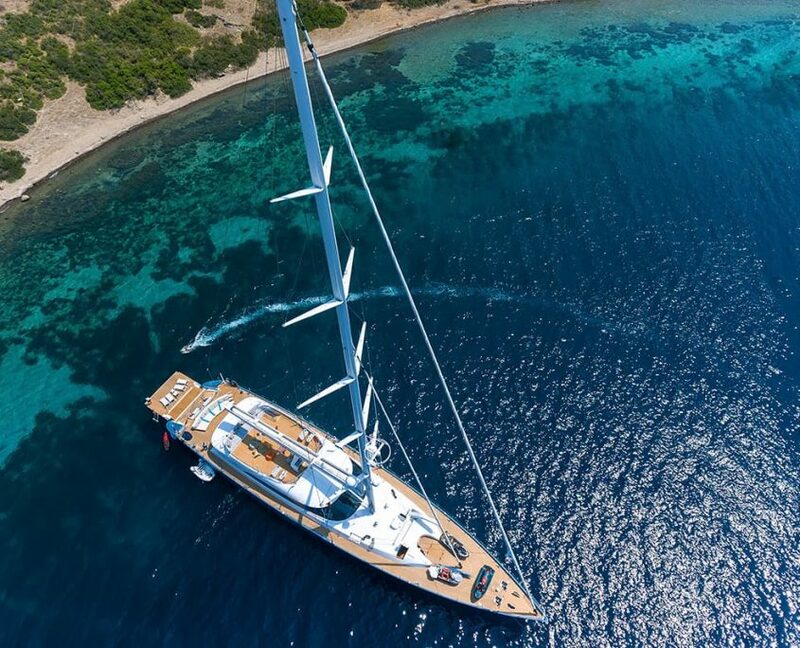 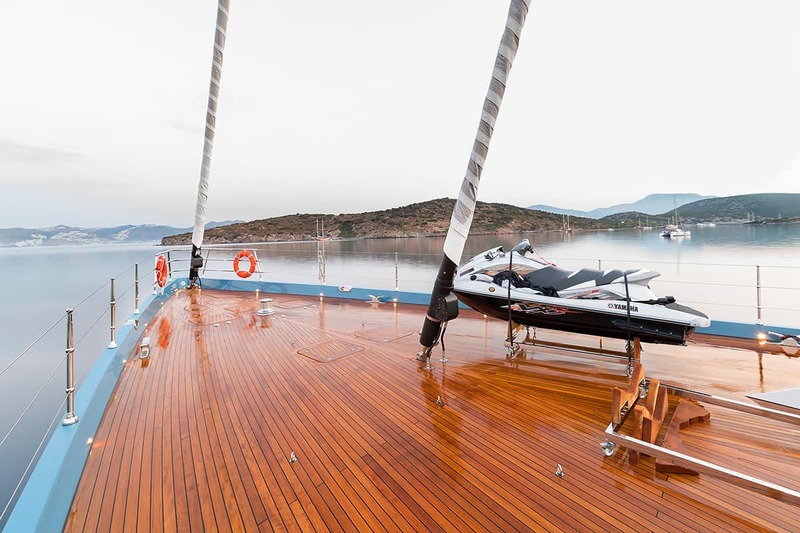 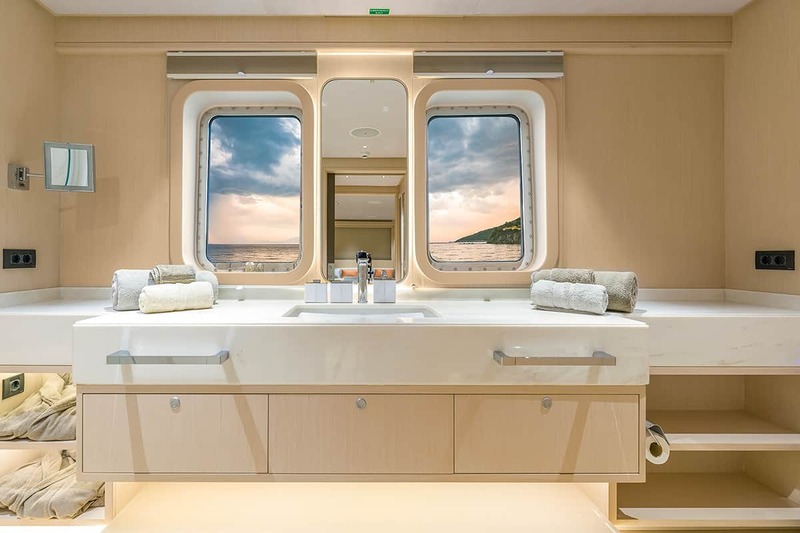 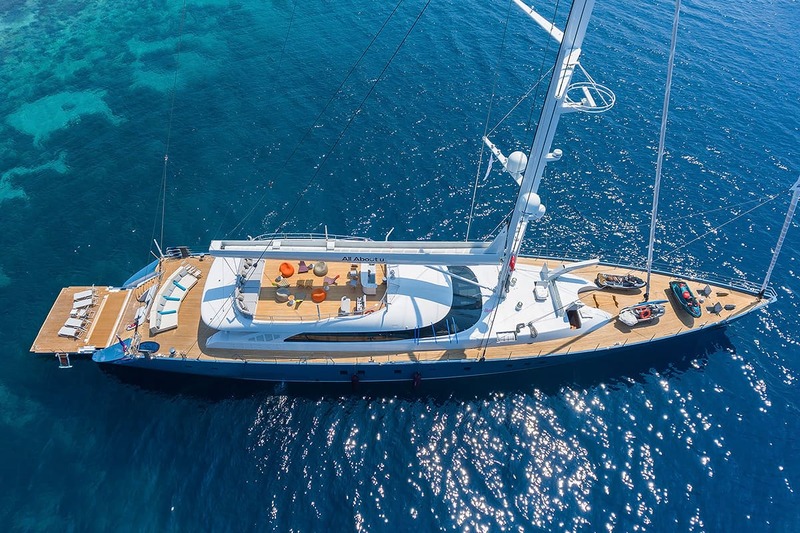 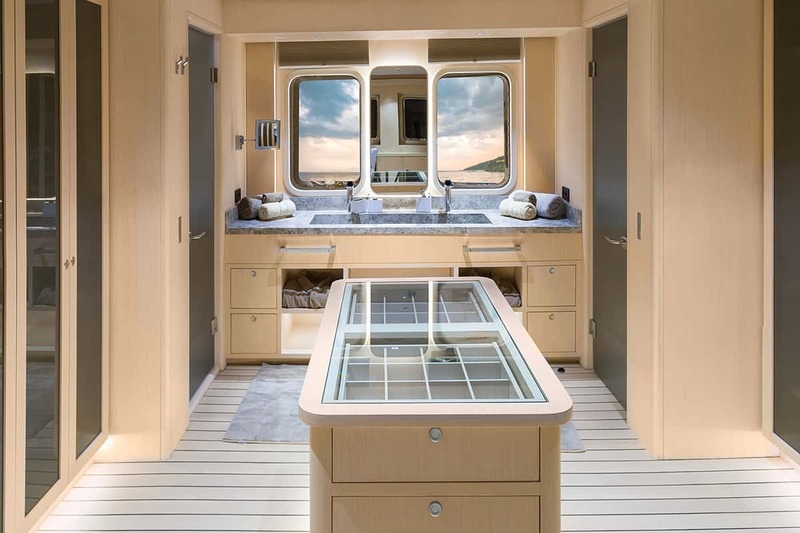 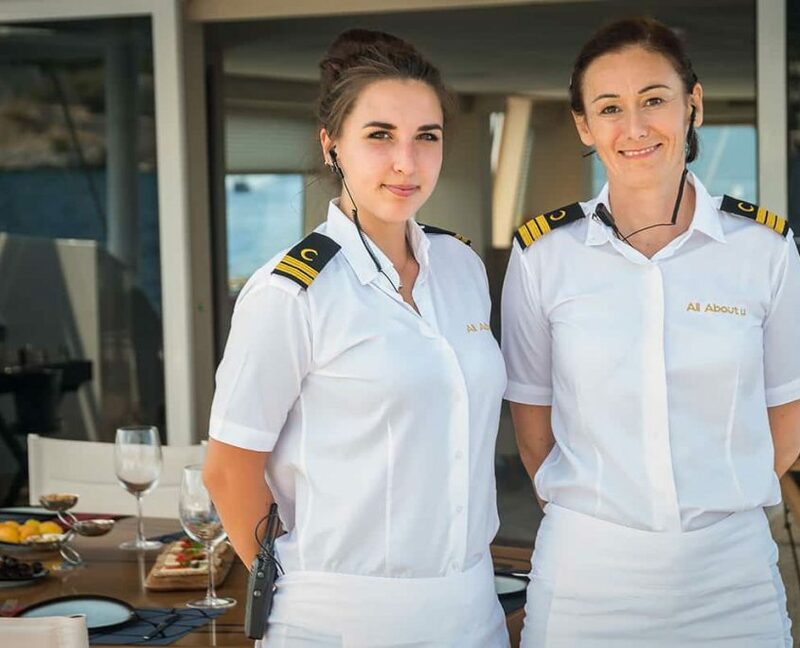 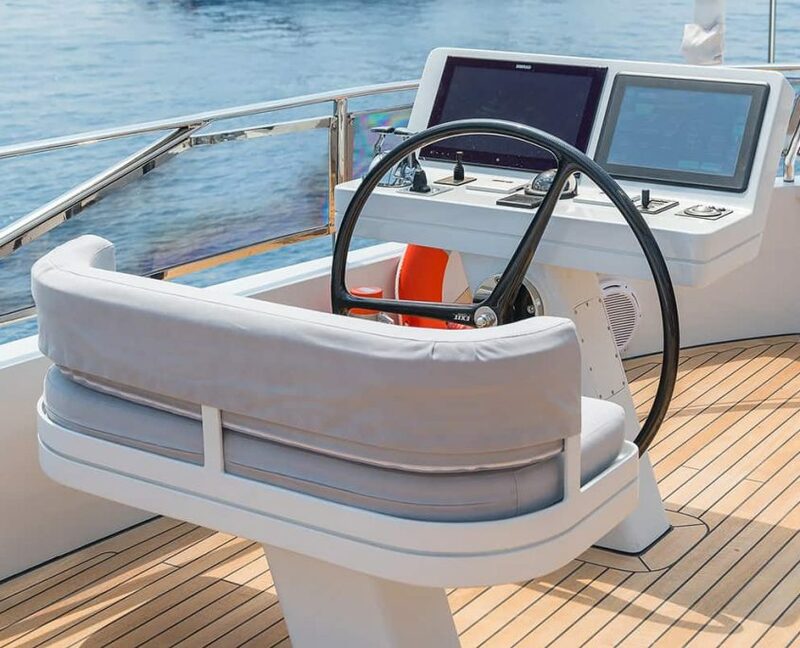 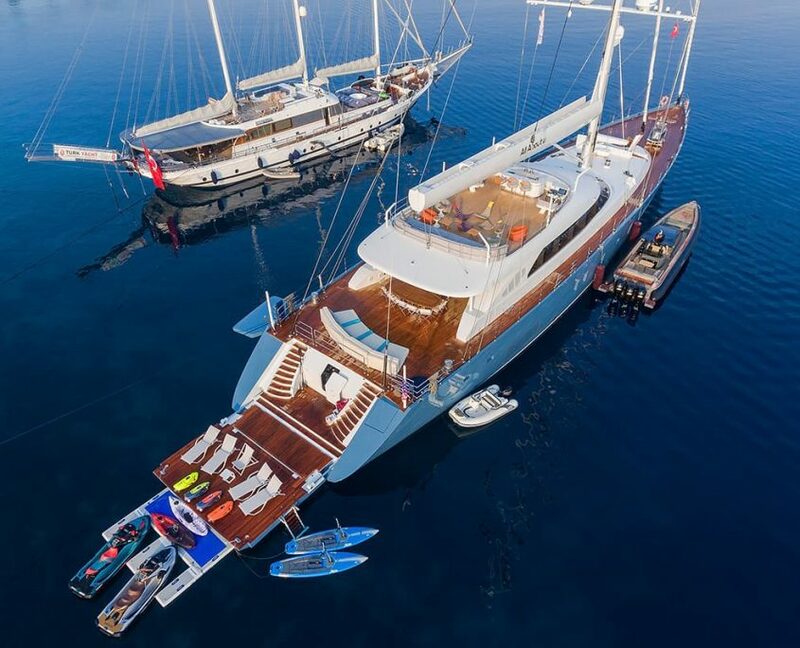 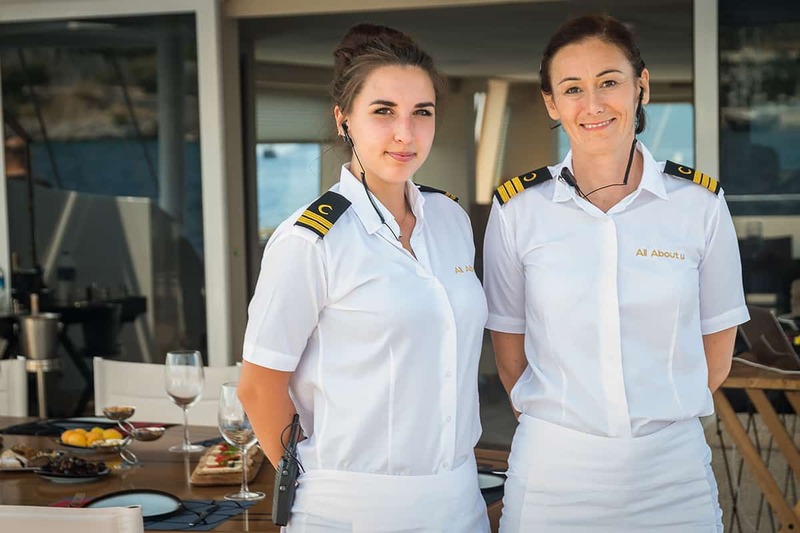 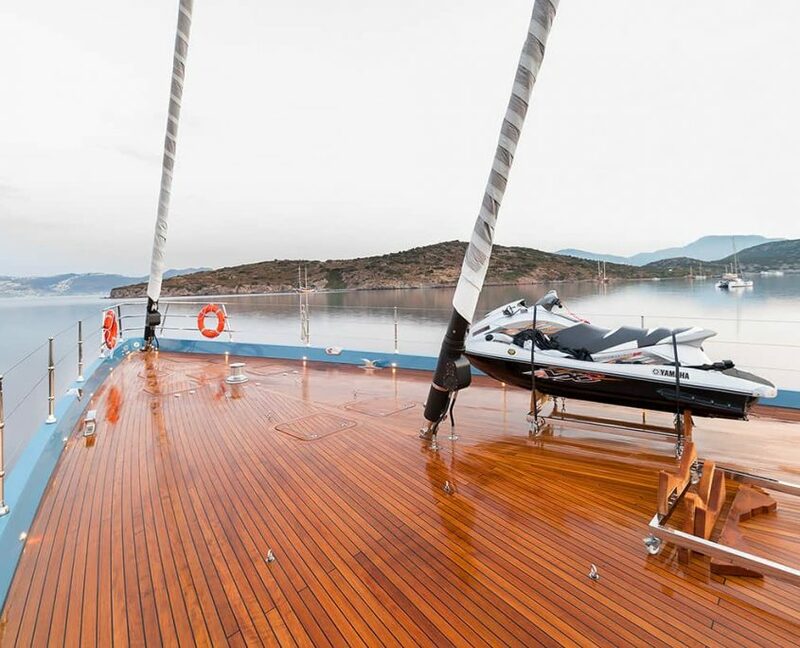 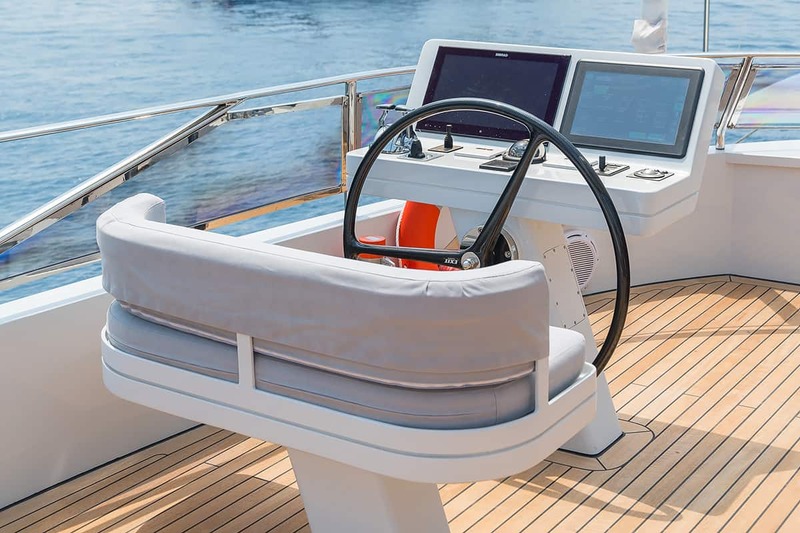 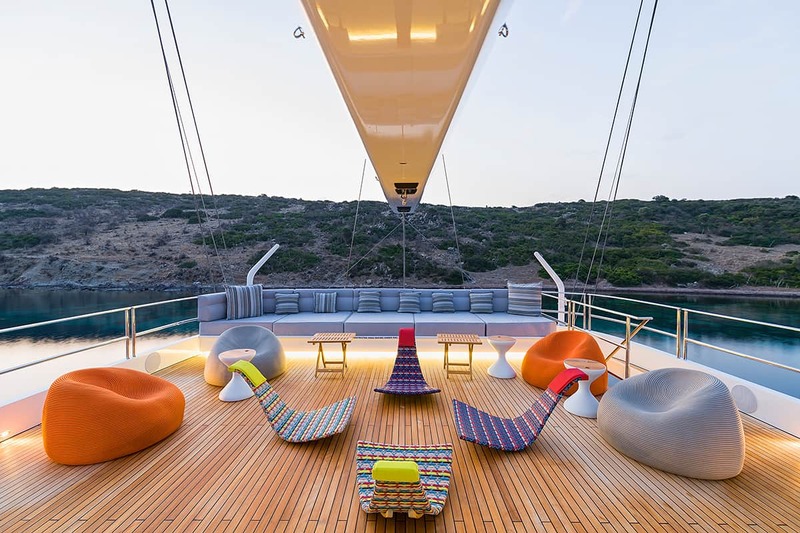 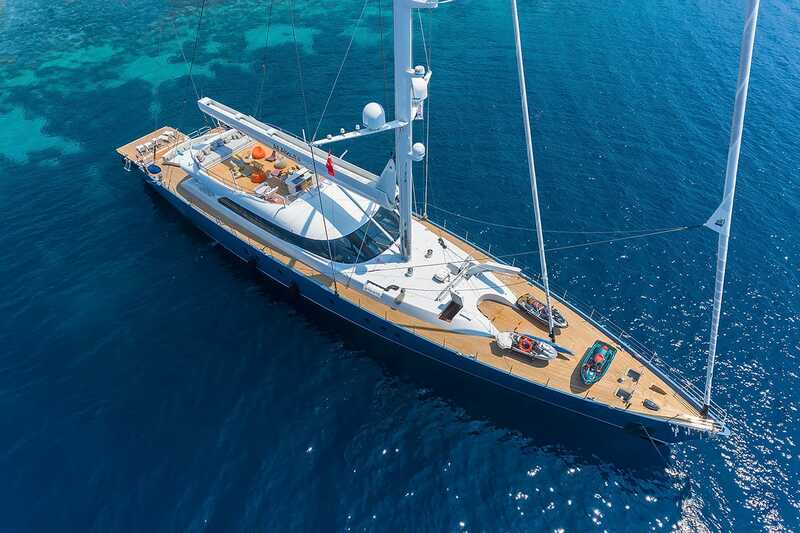 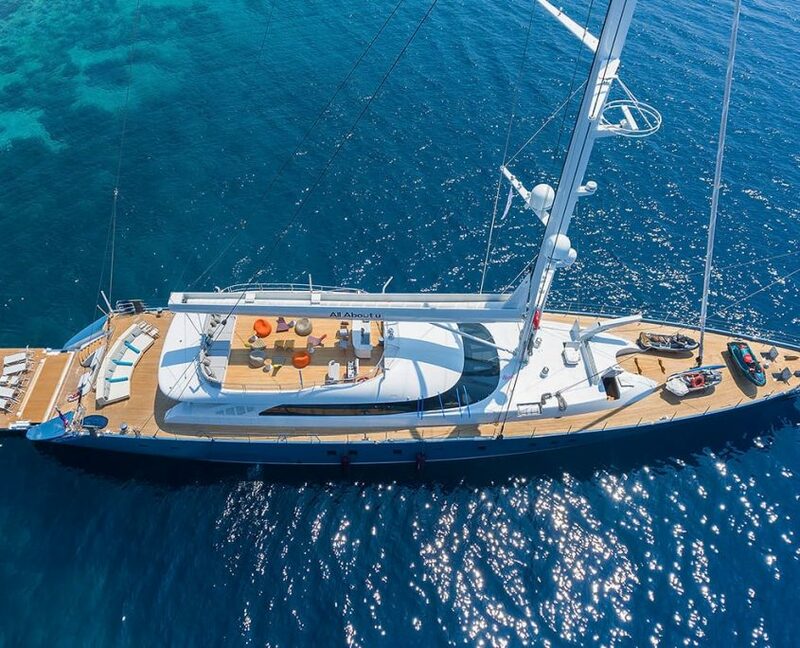 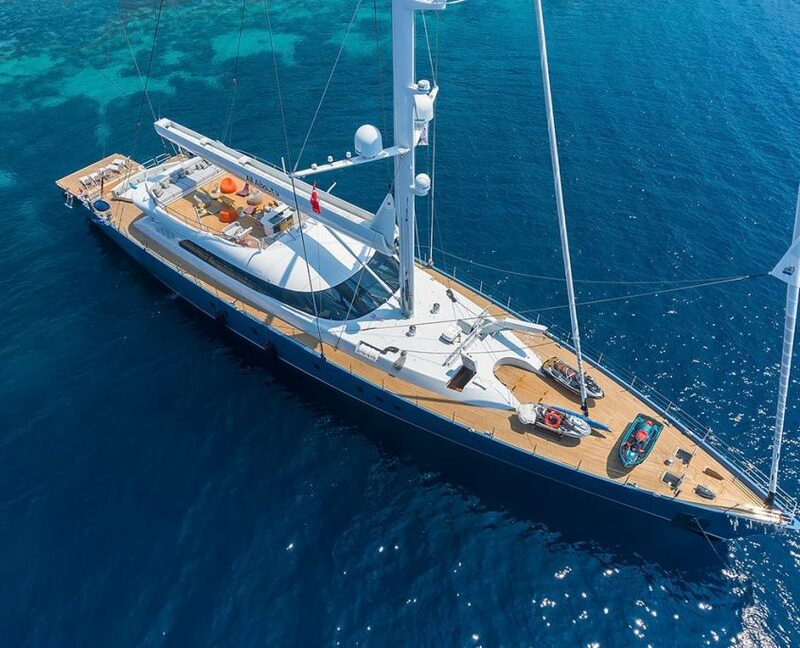 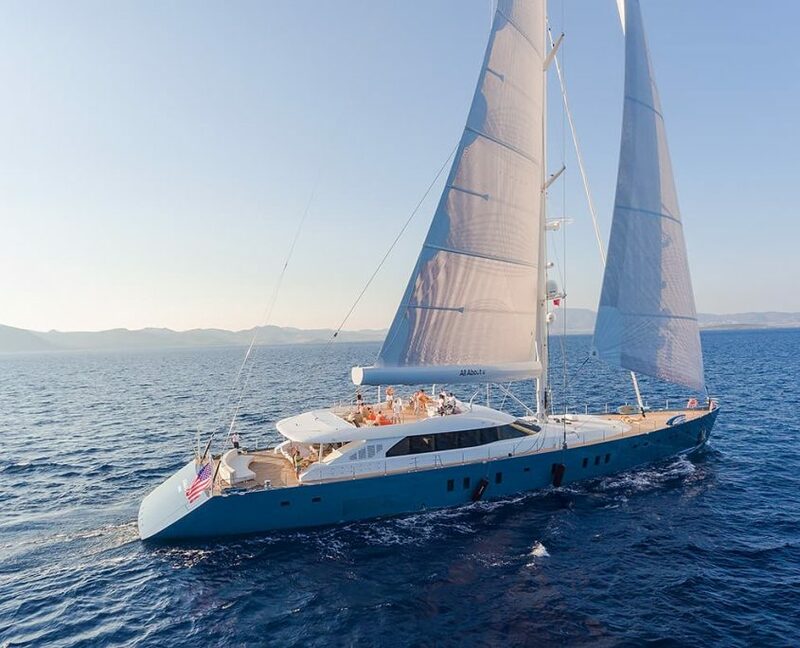 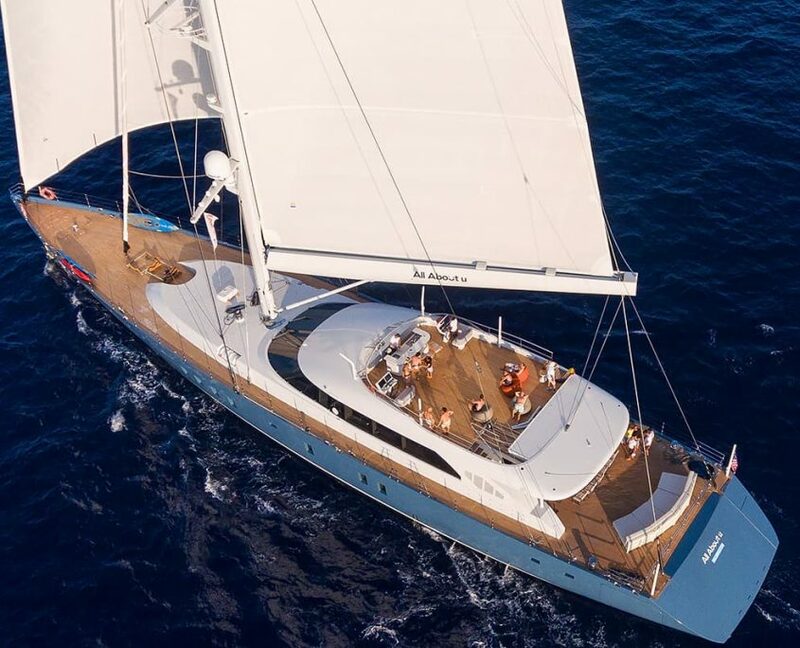 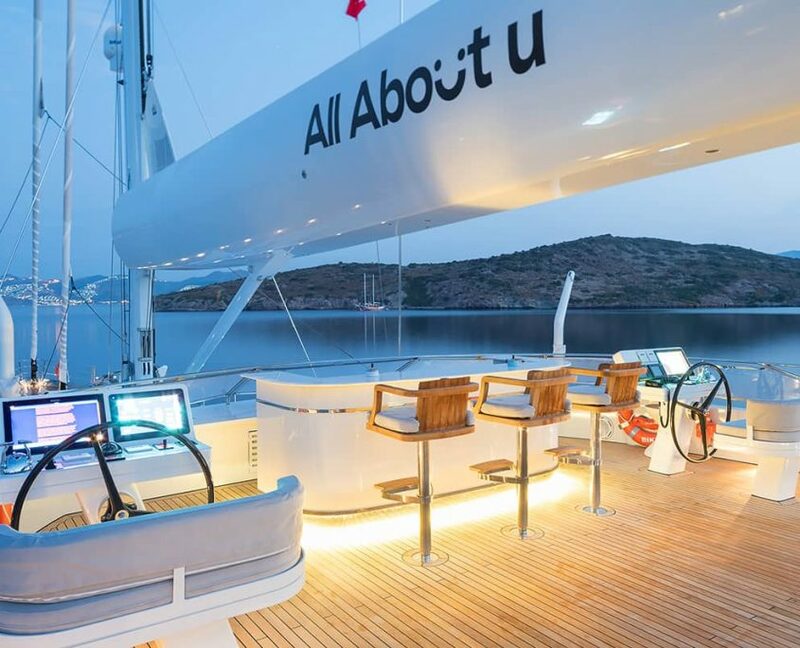 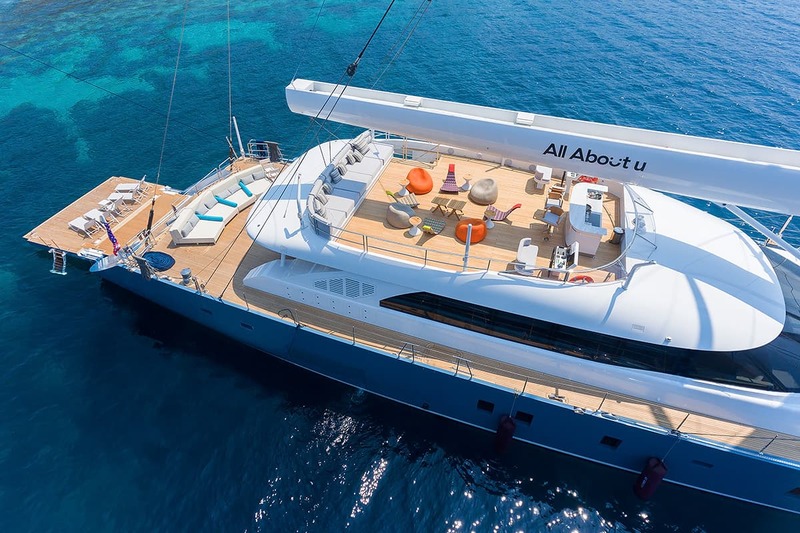 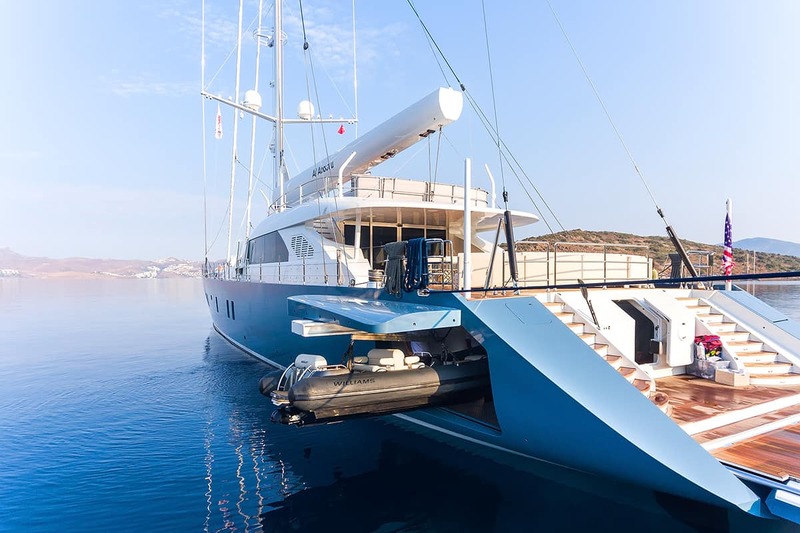 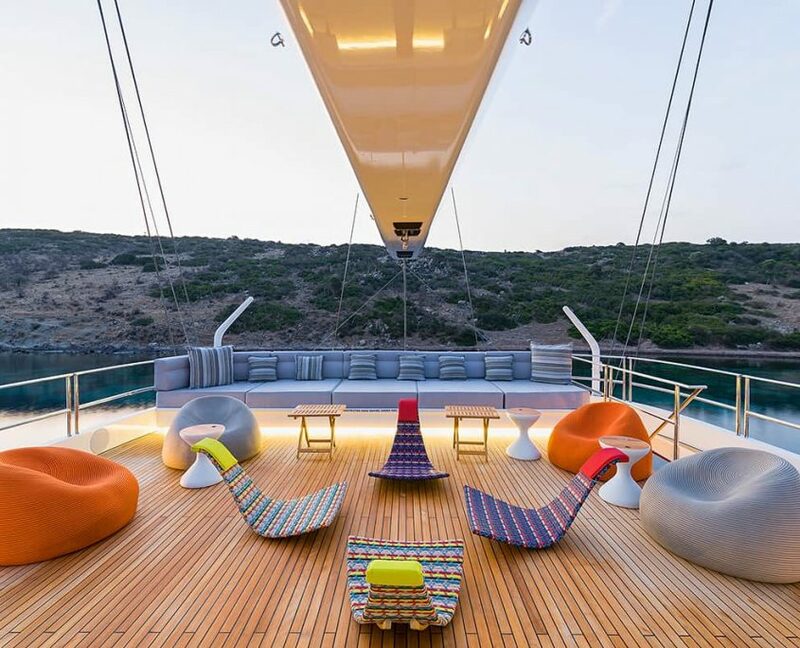 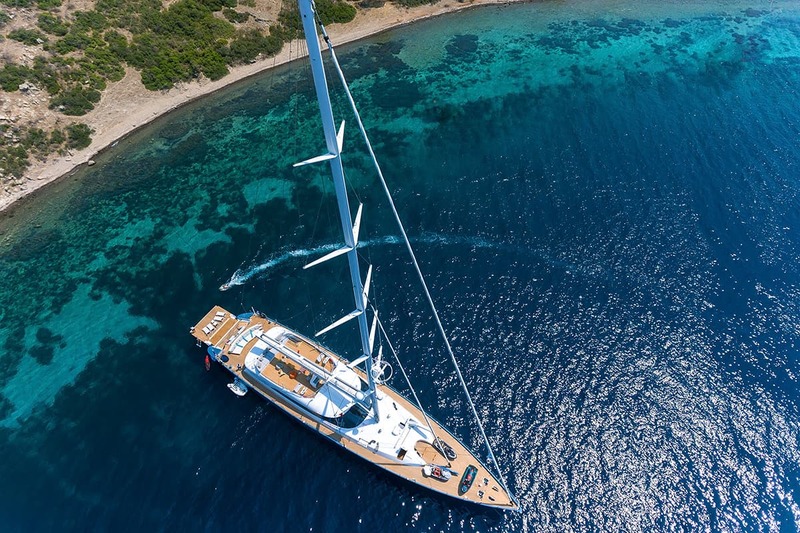 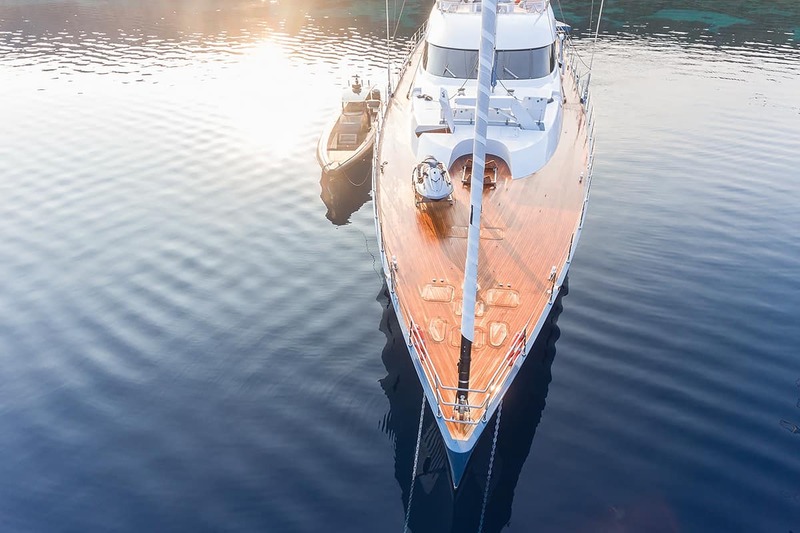 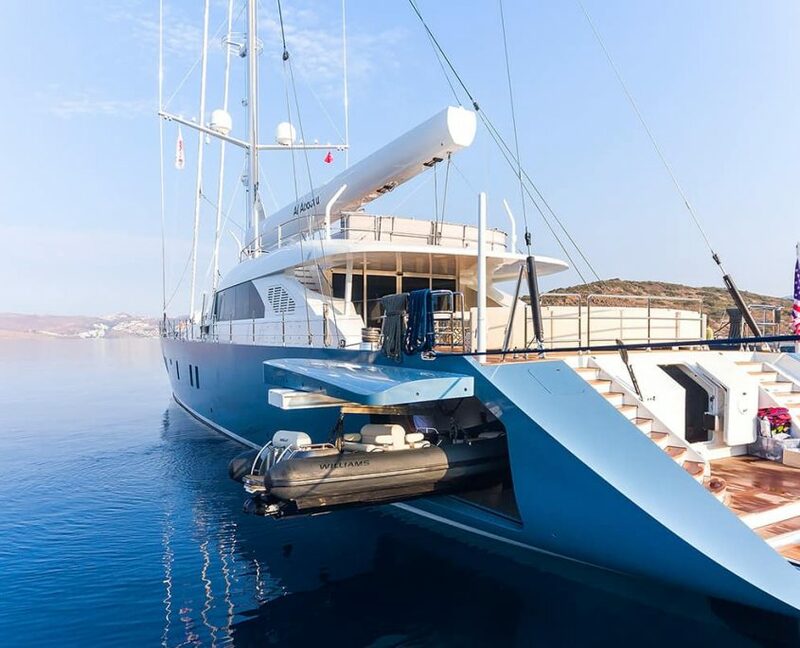 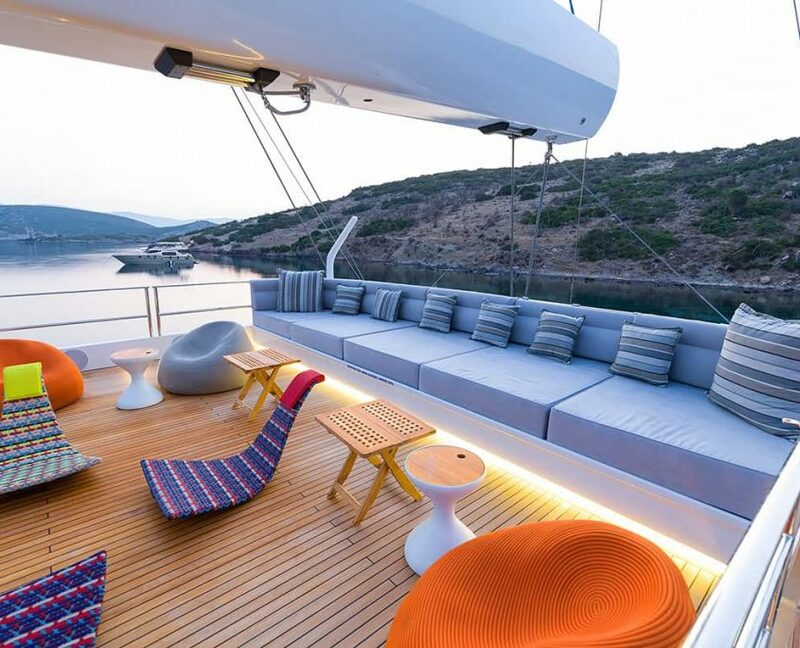 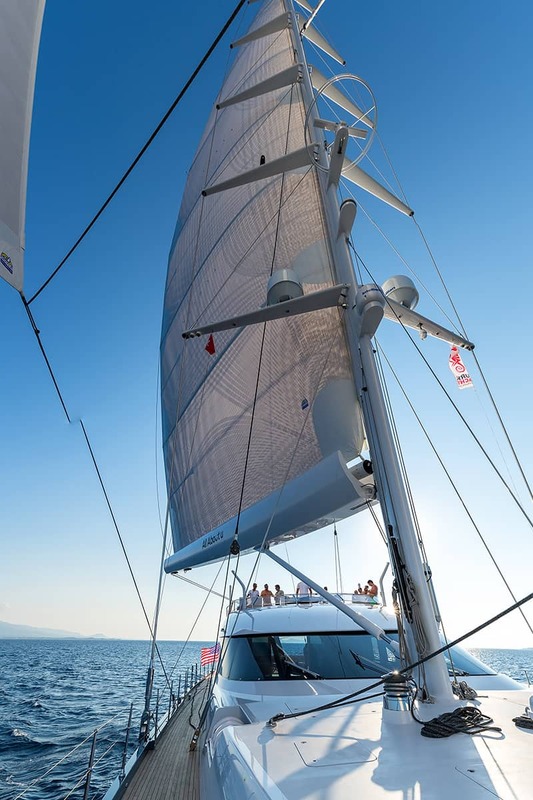 Launched in May 2018, All about U is doubtlessly among the most impressive yachts in Turkey today. 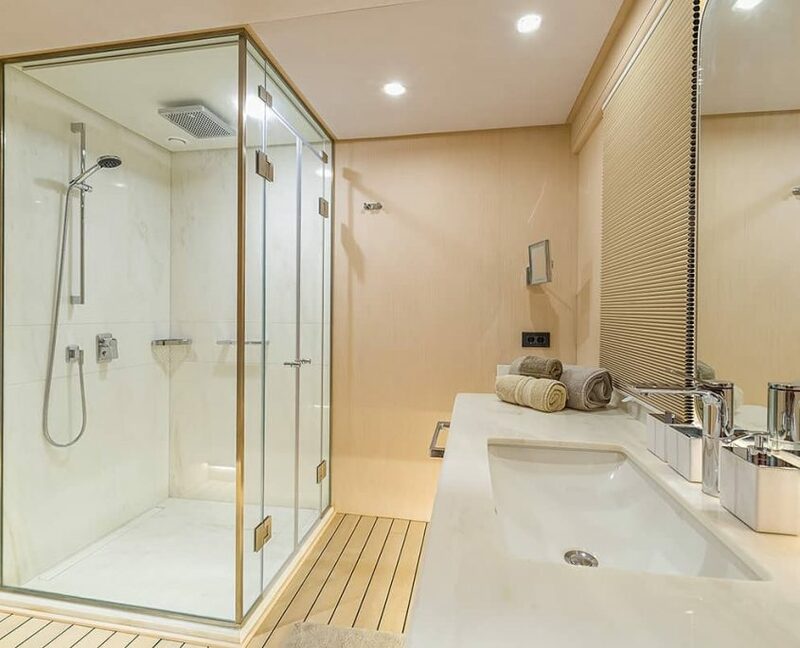 Every inch has been beautifully designed to provide the highest levels of luxury and comfort. 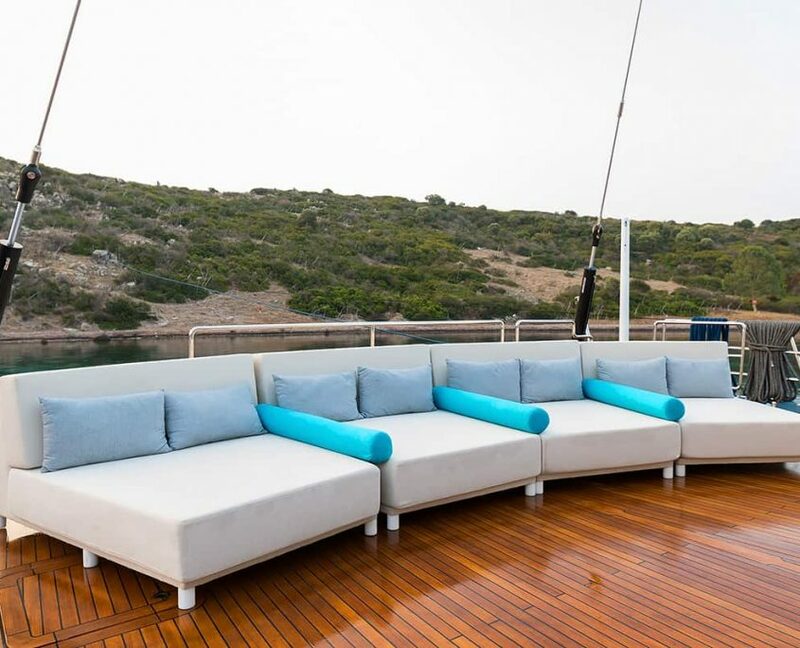 At 50 meters in length, outdoor areas provide more than enough room for leisure time. 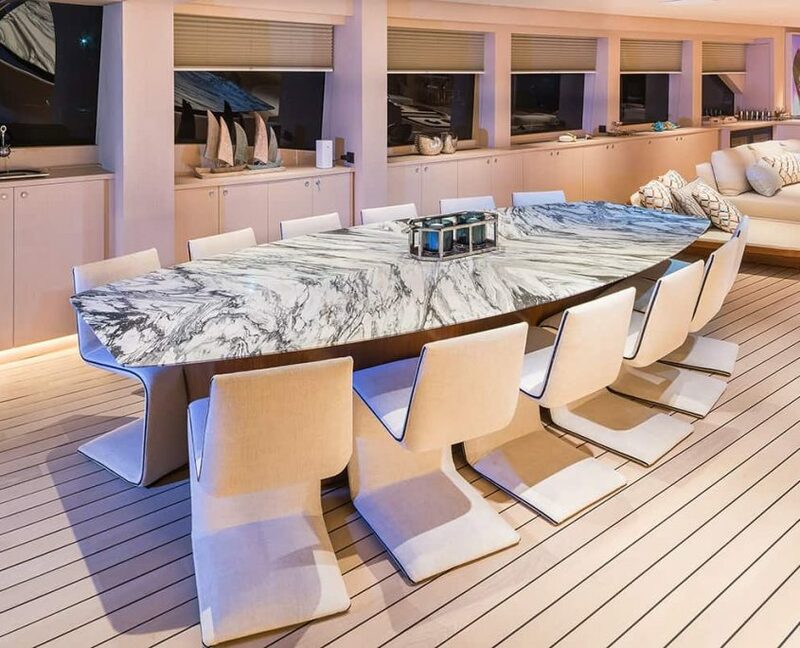 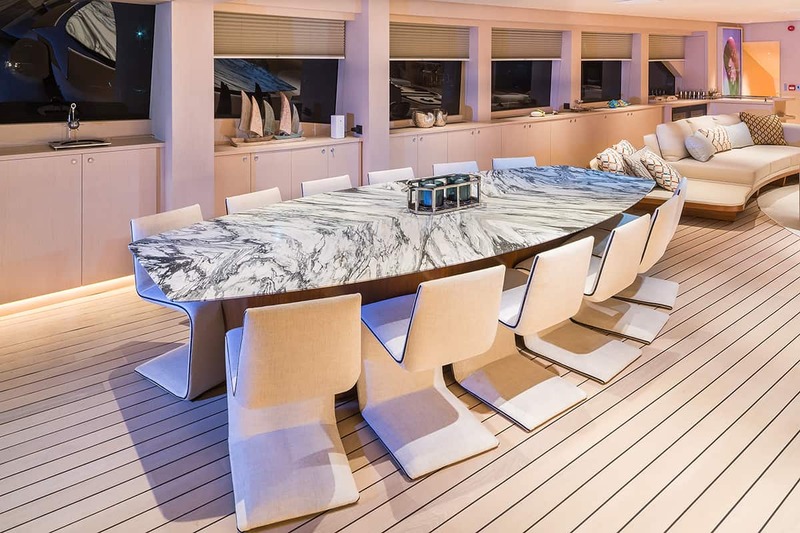 The spacious and beautiful deck and beautifully appointed dining areas are impressive. 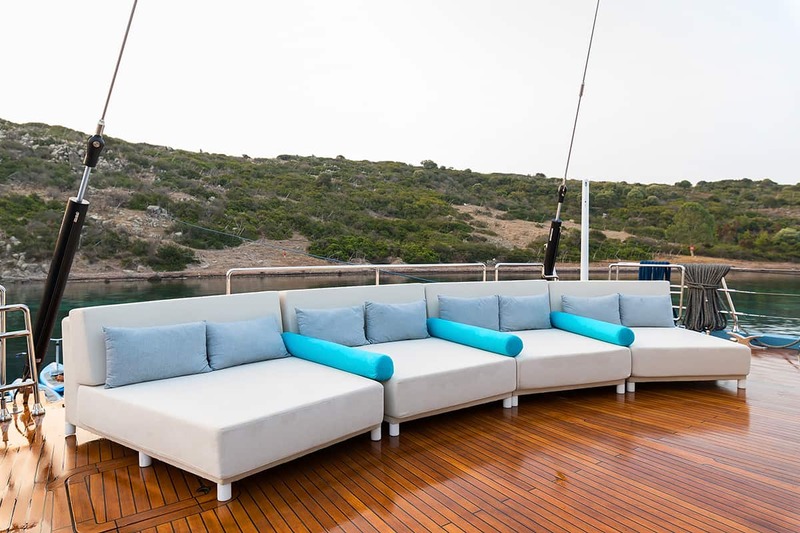 There are enough sunbathing cushions, chairs, and services for each guest on board. 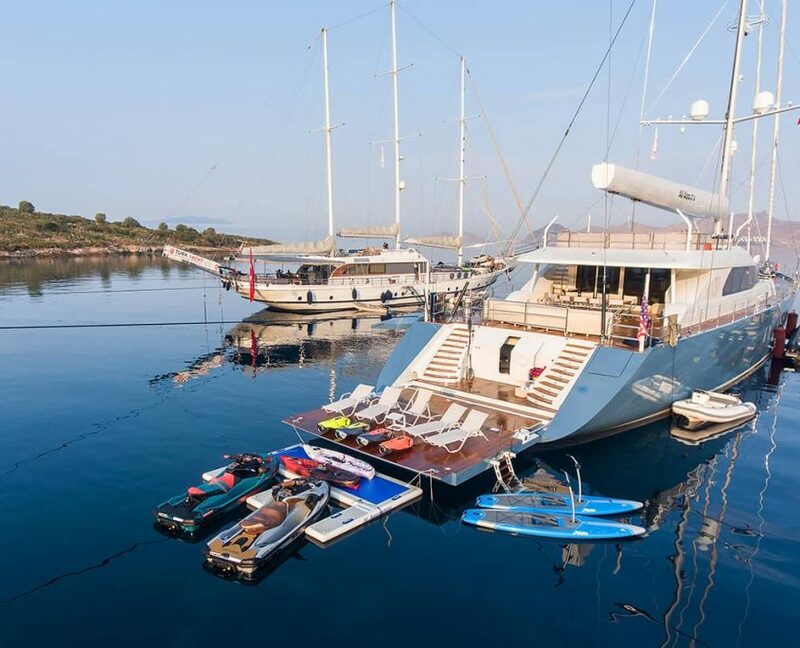 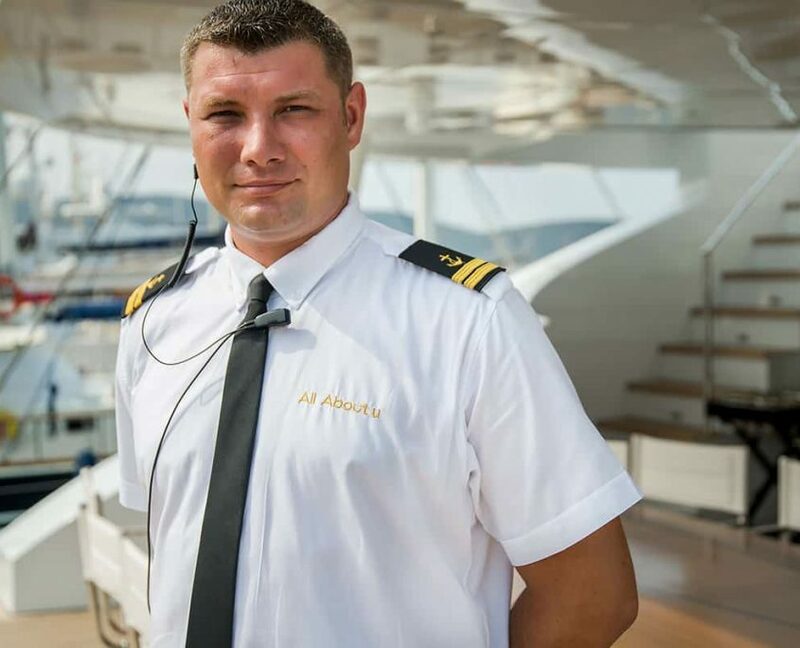 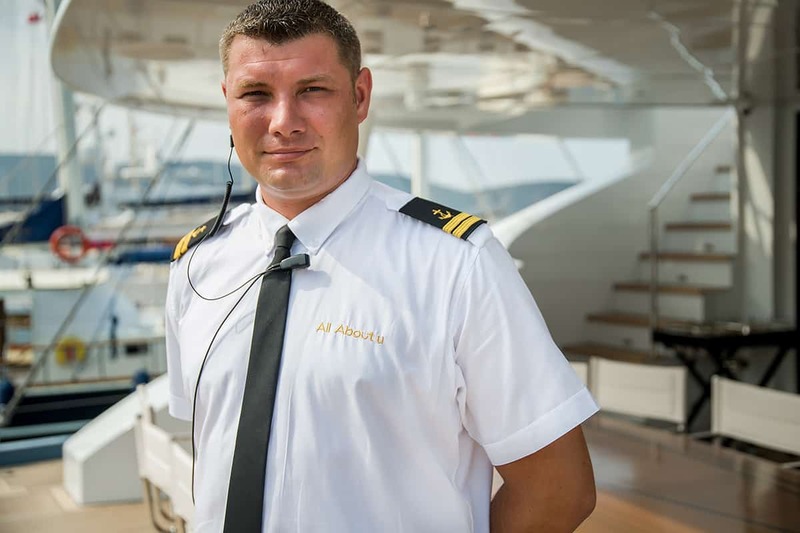 You will be taken care of by 8 professional crew members that will do everything they can to provide you with the best holiday of your life. 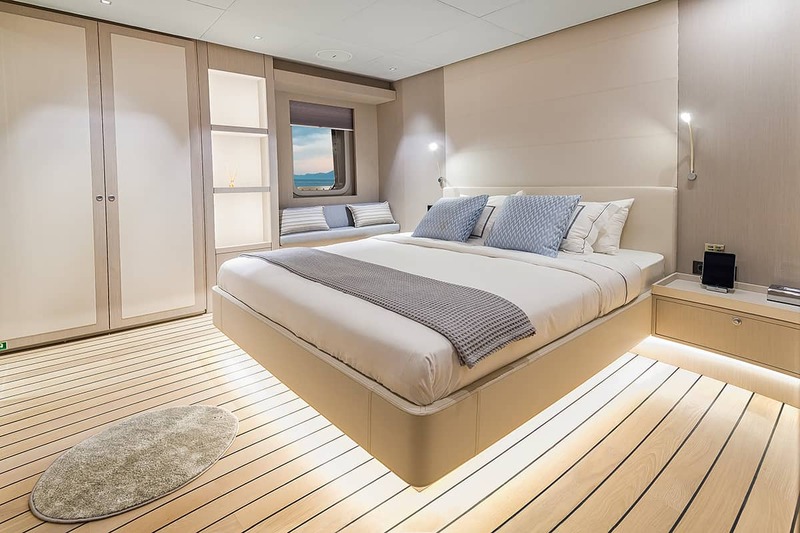 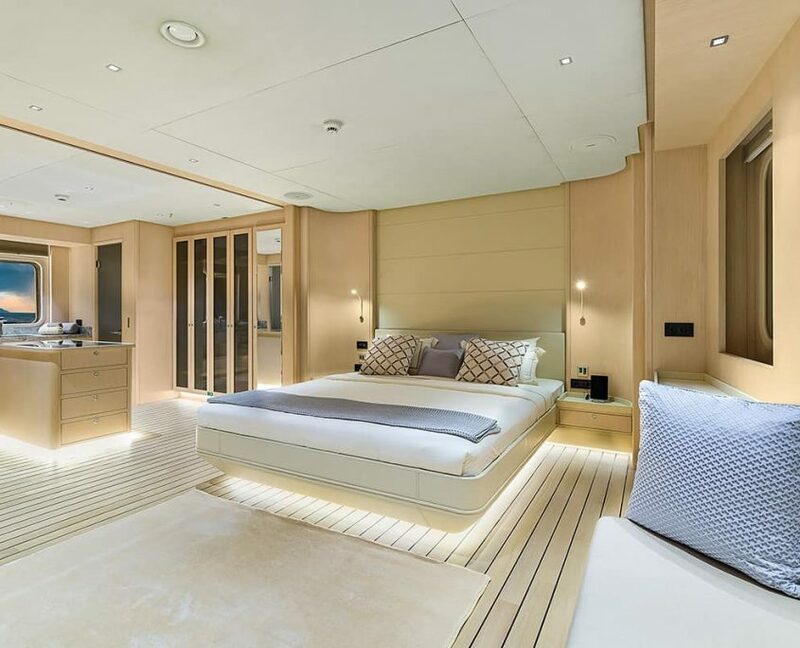 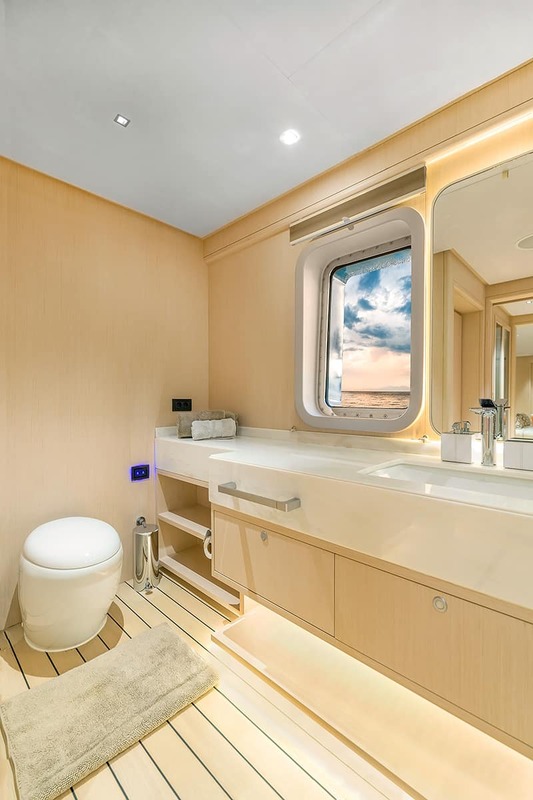 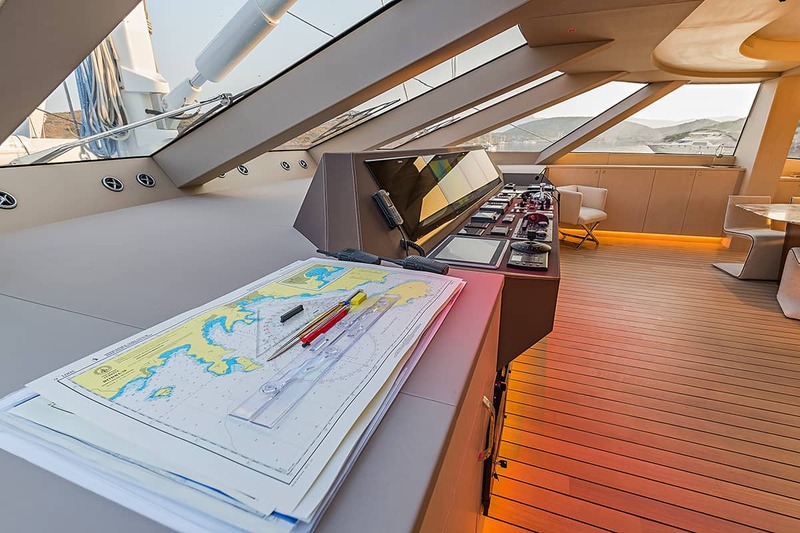 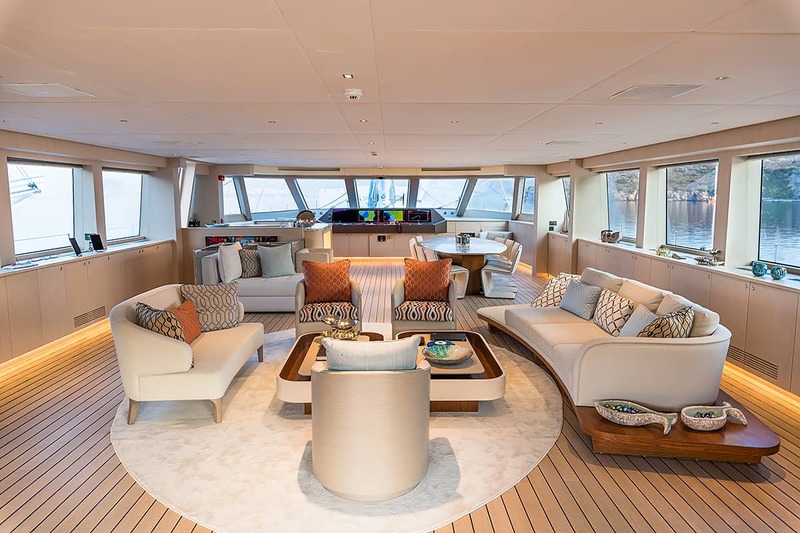 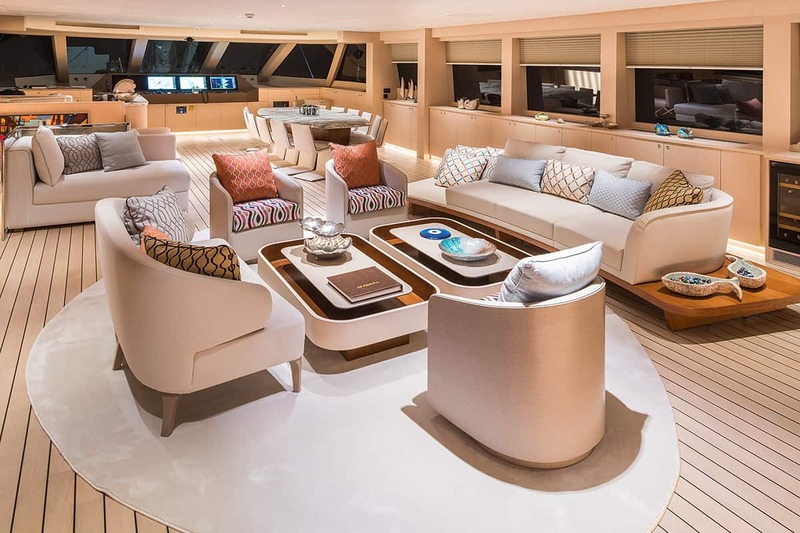 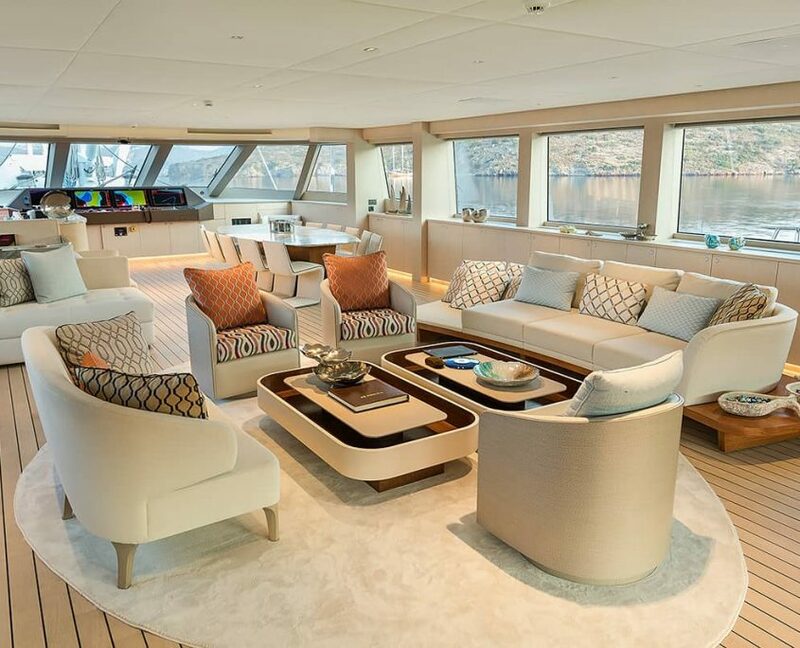 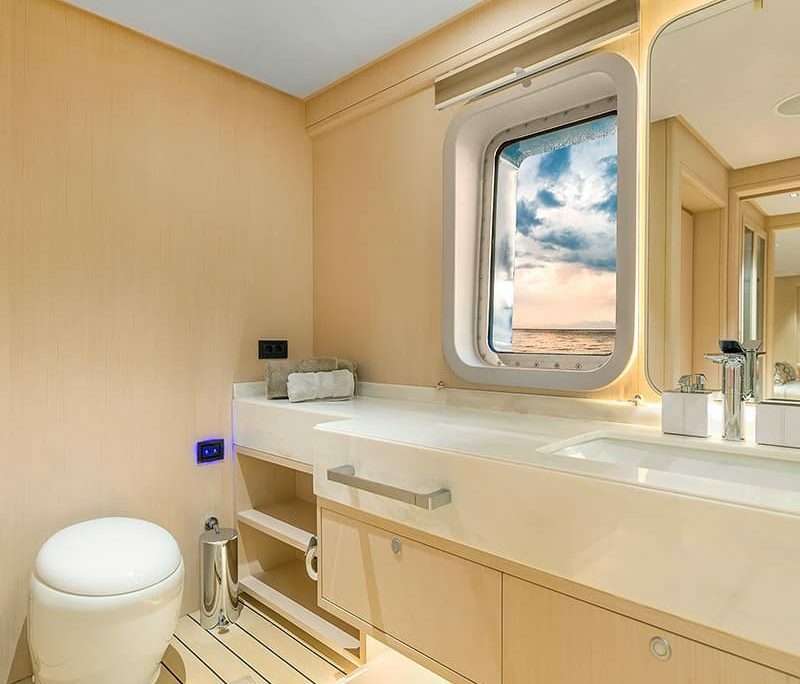 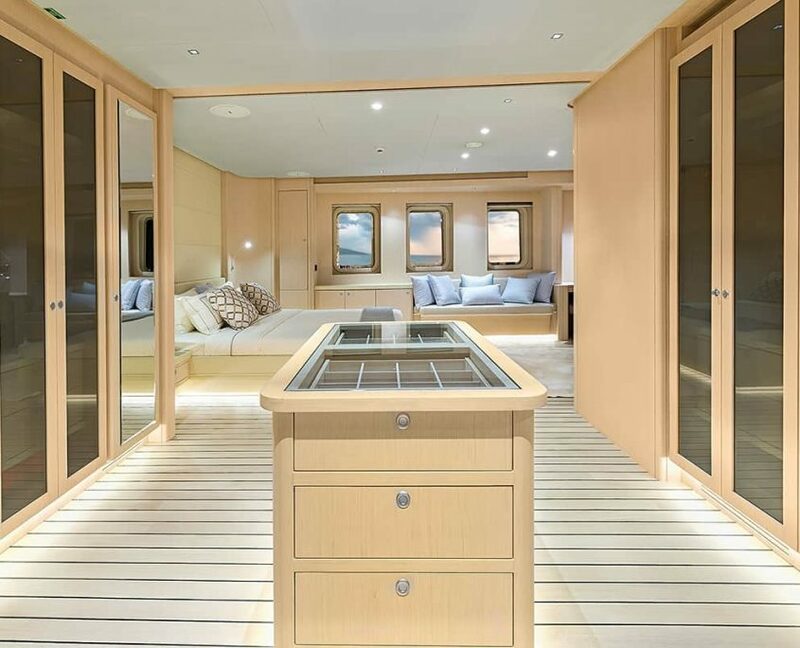 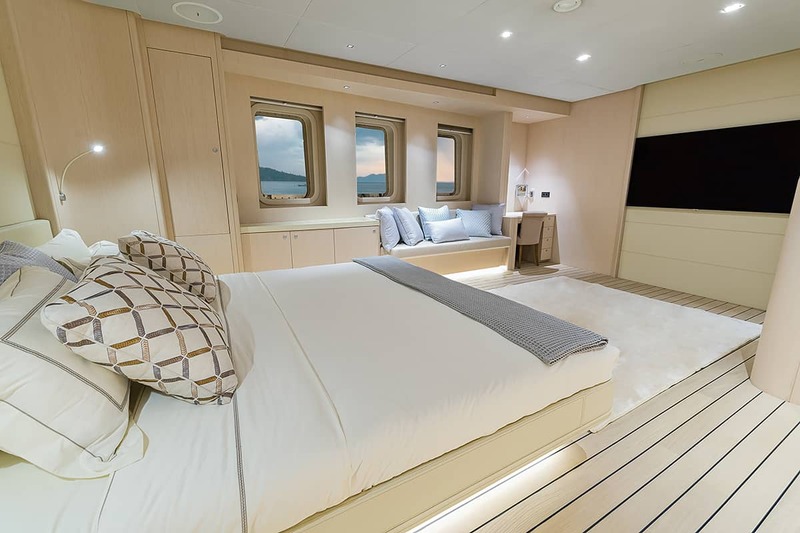 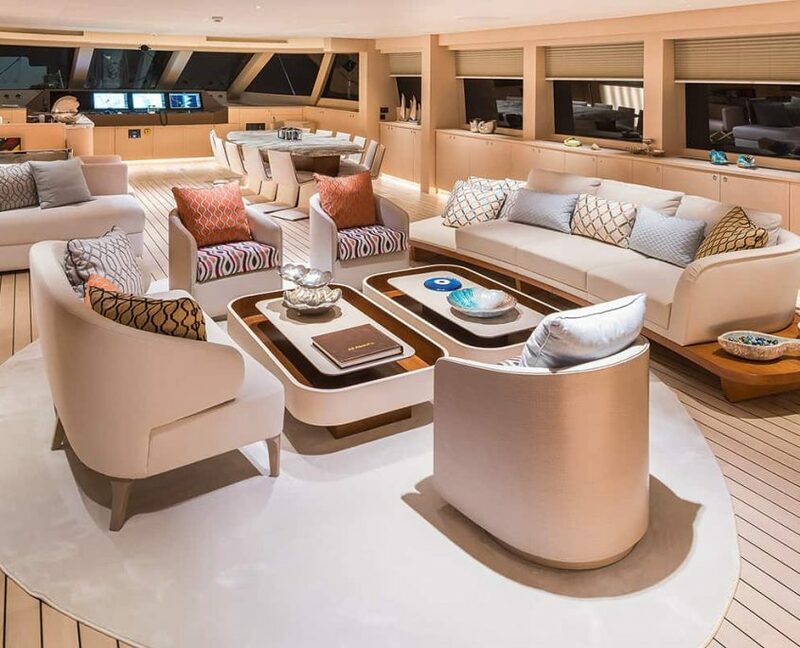 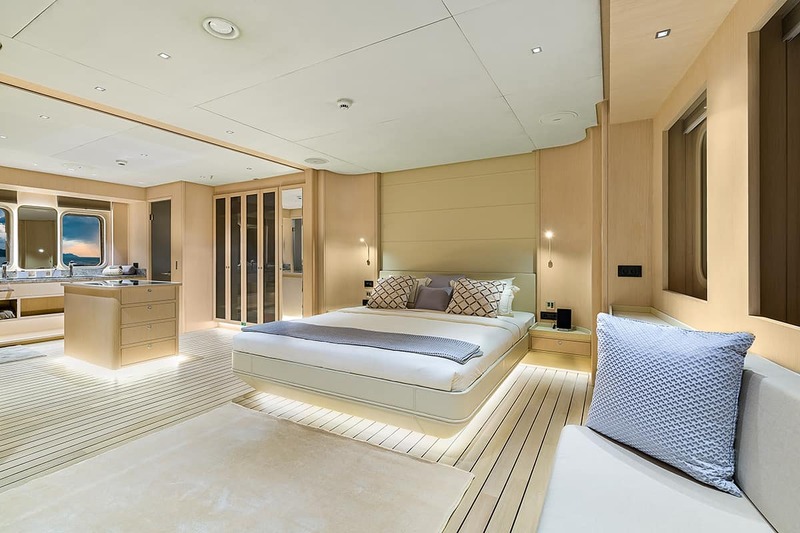 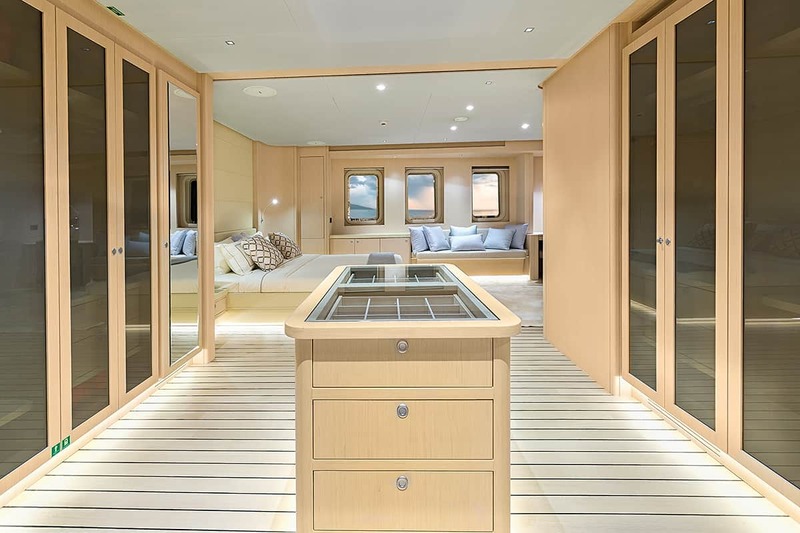 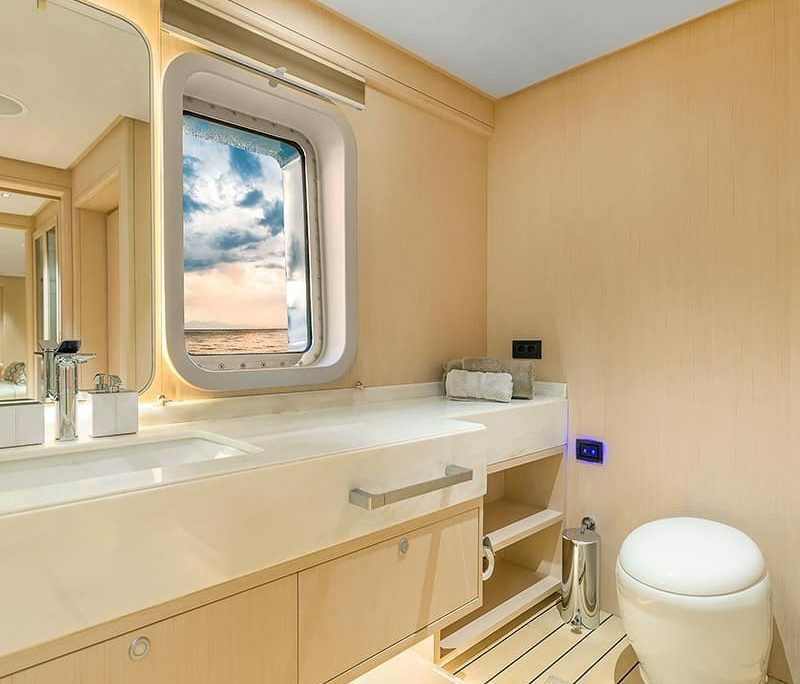 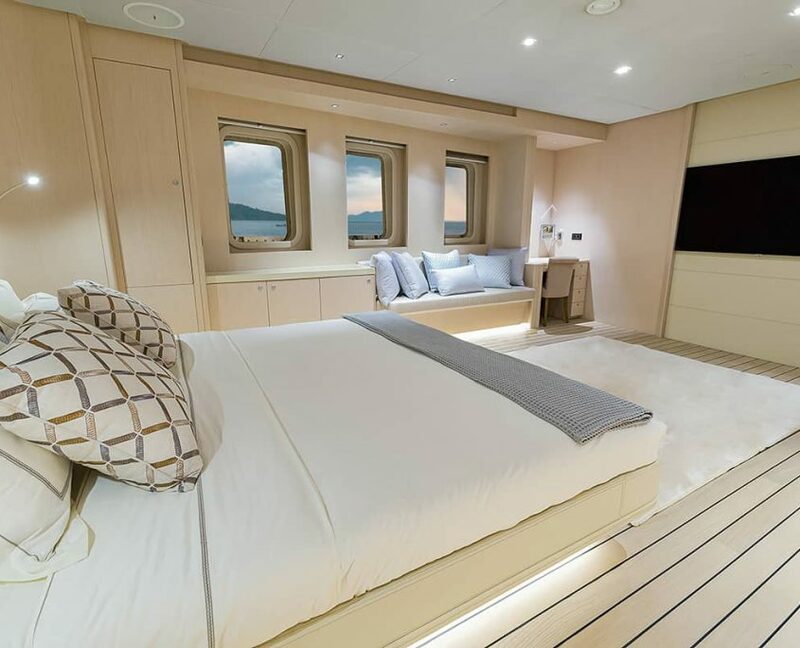 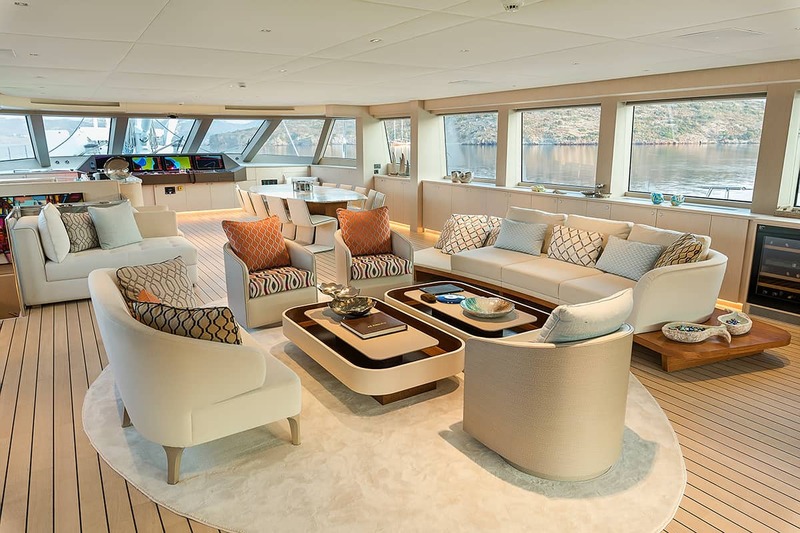 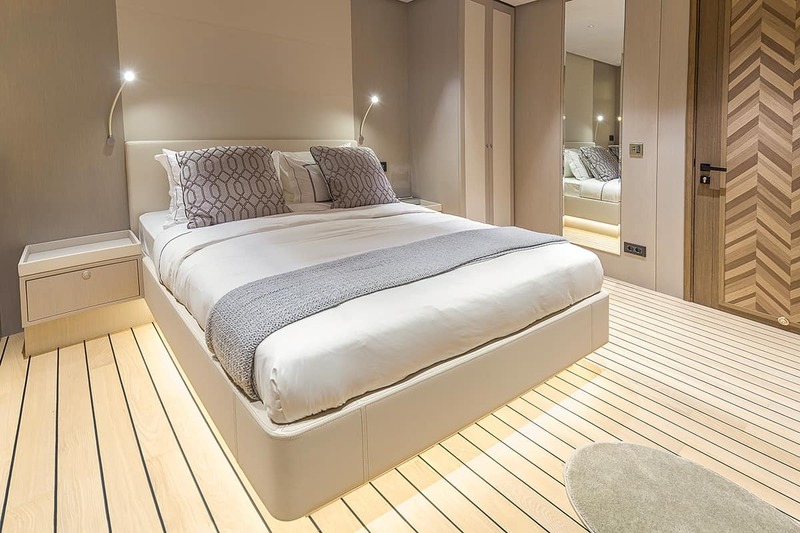 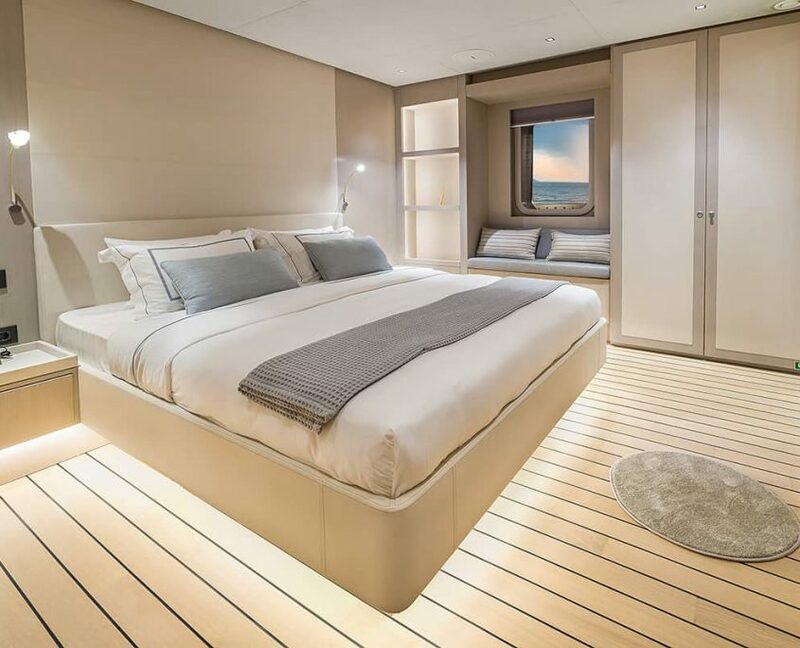 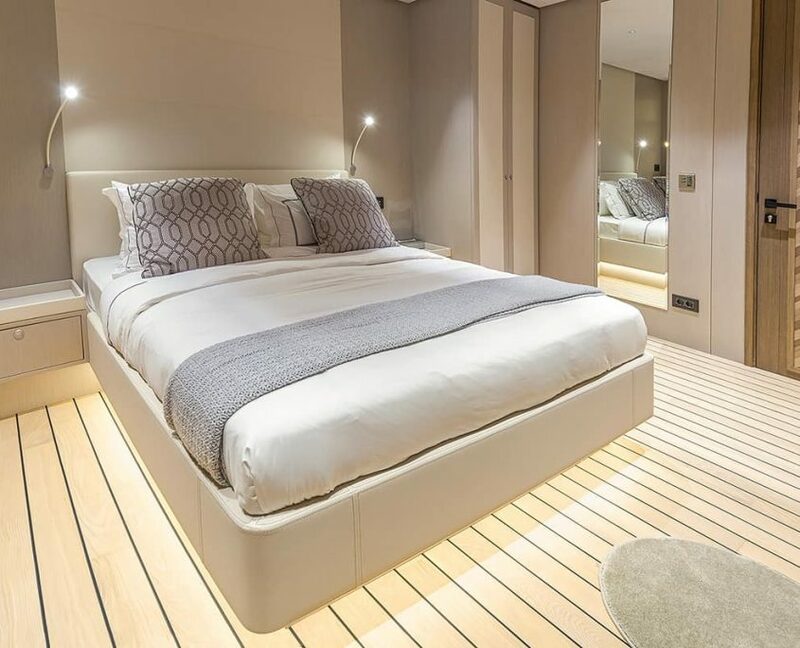 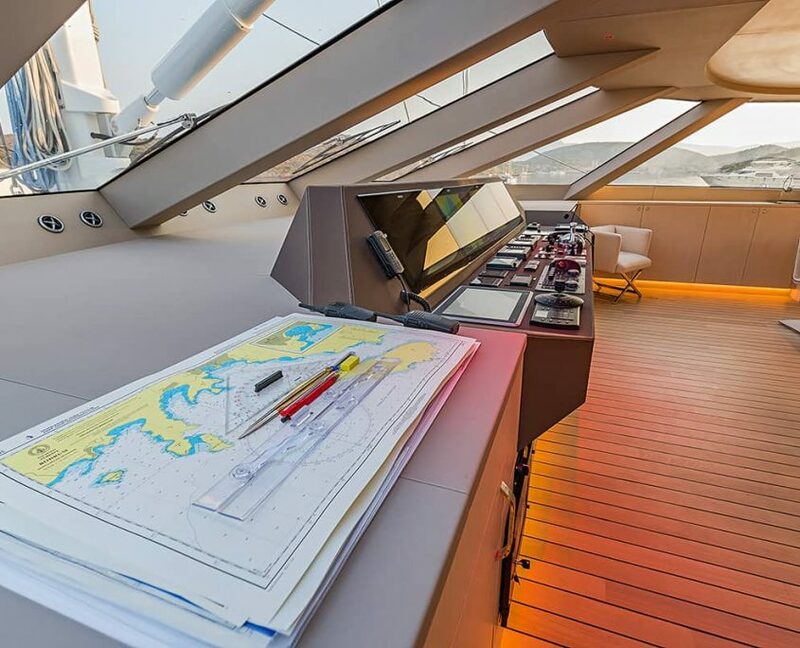 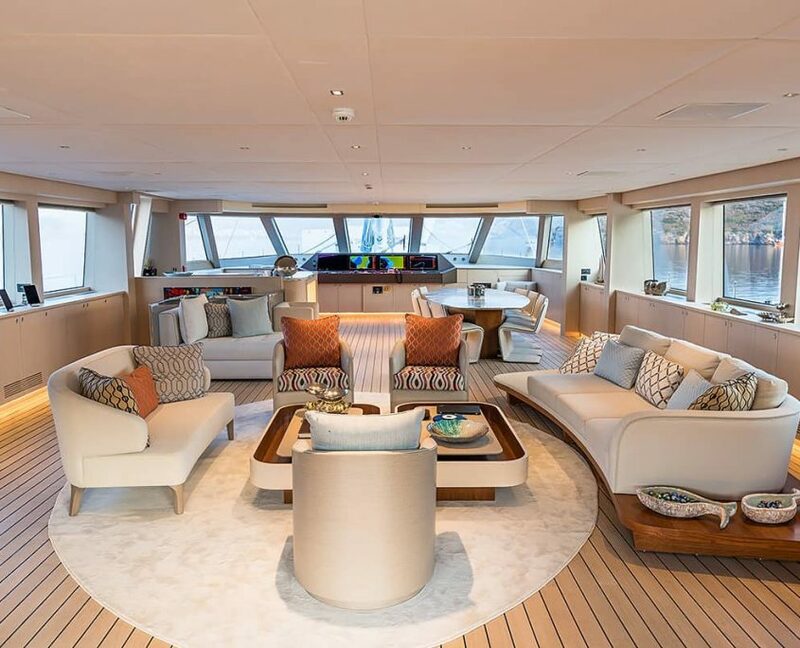 The yacht’s interior is superb, decorated with elegant and bright details that impart a sense of spaciousness in all of the 6 cabins. 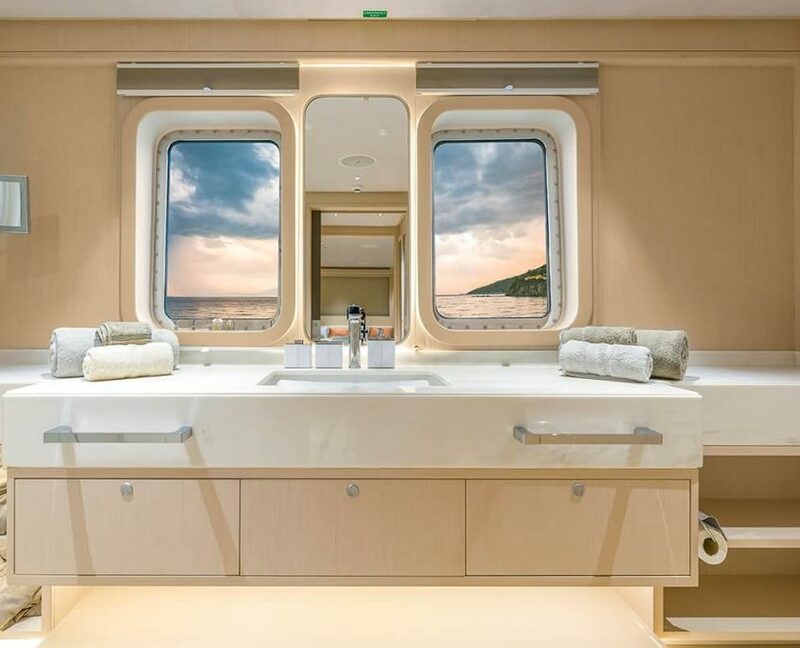 Panoramic windows in the salon area and cabins plenty of natural light, and mesmerizing sea views. 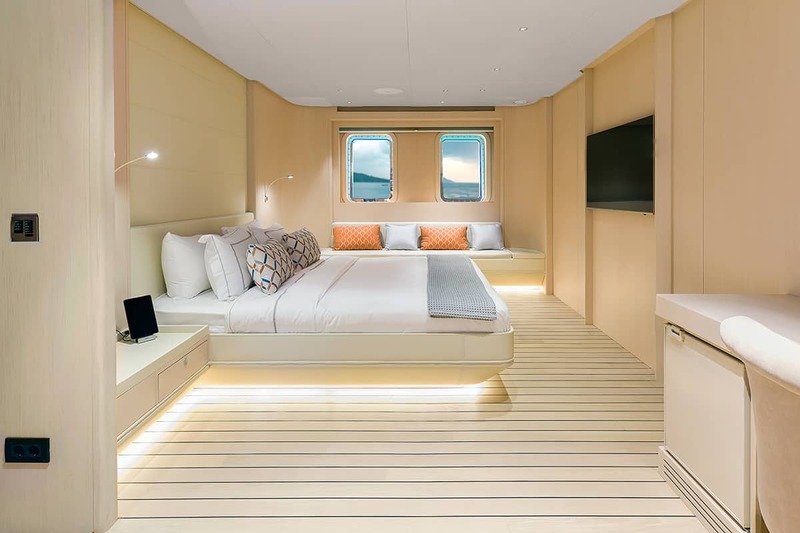 Master cabin: Cabin with double bed. 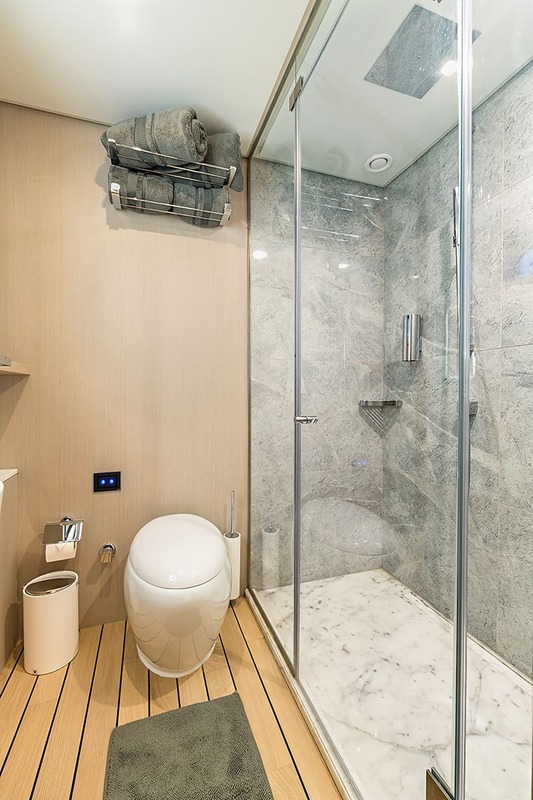 Private bathroom with shower box and home-style flushing type toilet. 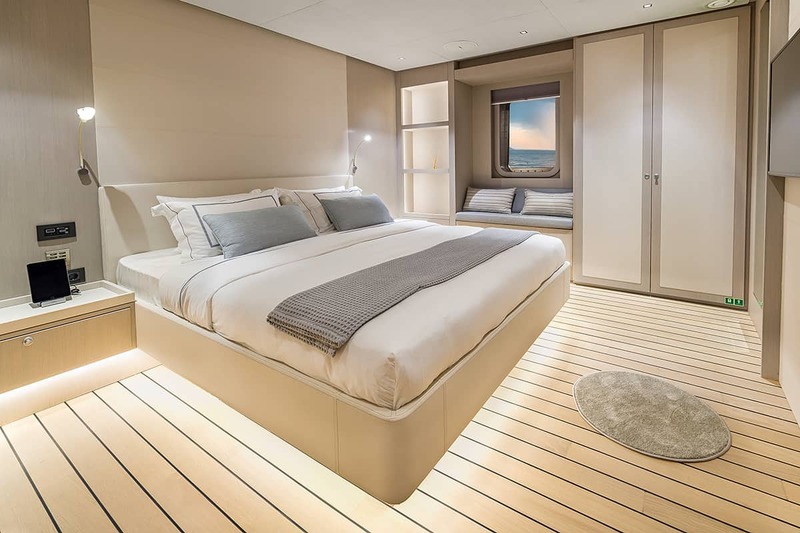 VIP cabin: Cabin with double bed. 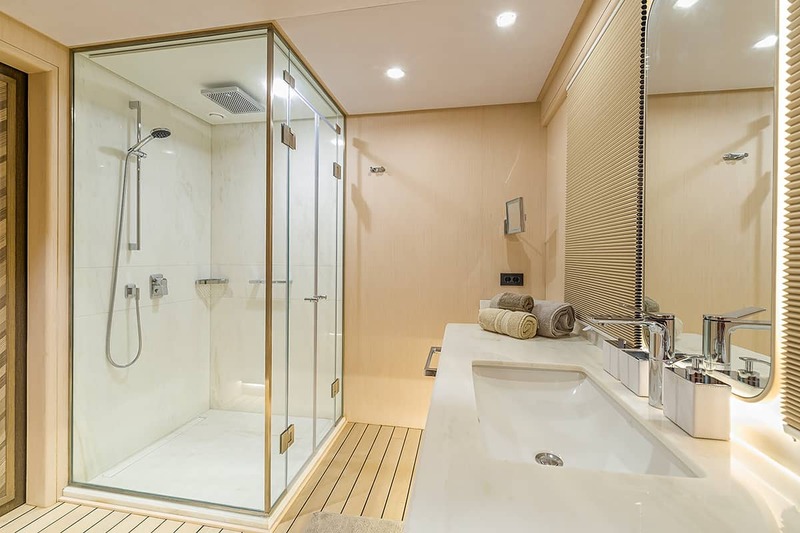 Private bathroom with shower box and home-style flushing type toilet. 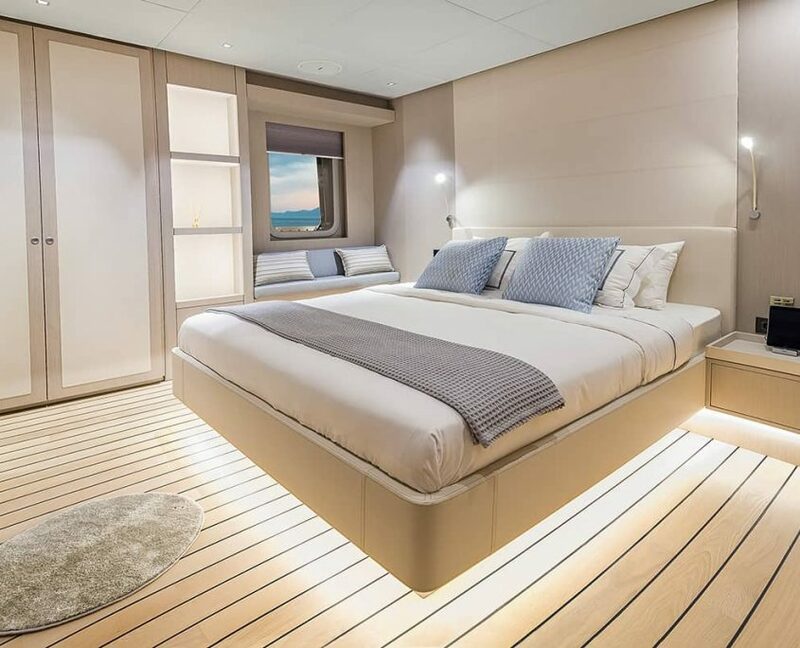 4 Double cabins: Cabin with double bed. 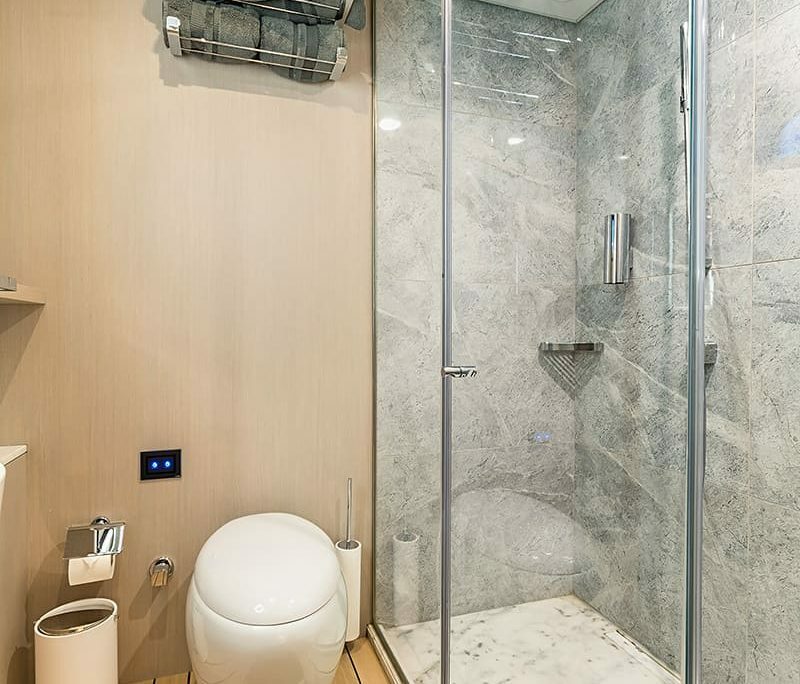 Private bathroom with shower box and home-style flushing type toilet. 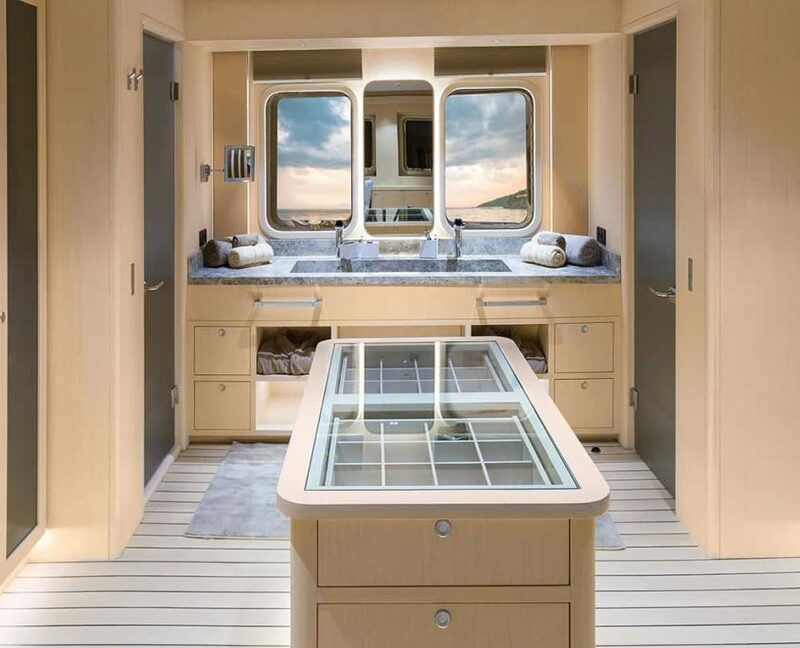 Satellite TV, DVD player, Wi-Fi mobile internet connection, USB connection for multimedia devices, board games, cards, Icemaker, Espresso machine, Watermaker, Solar panels, Air conditioning, Full regulation safety equipment. 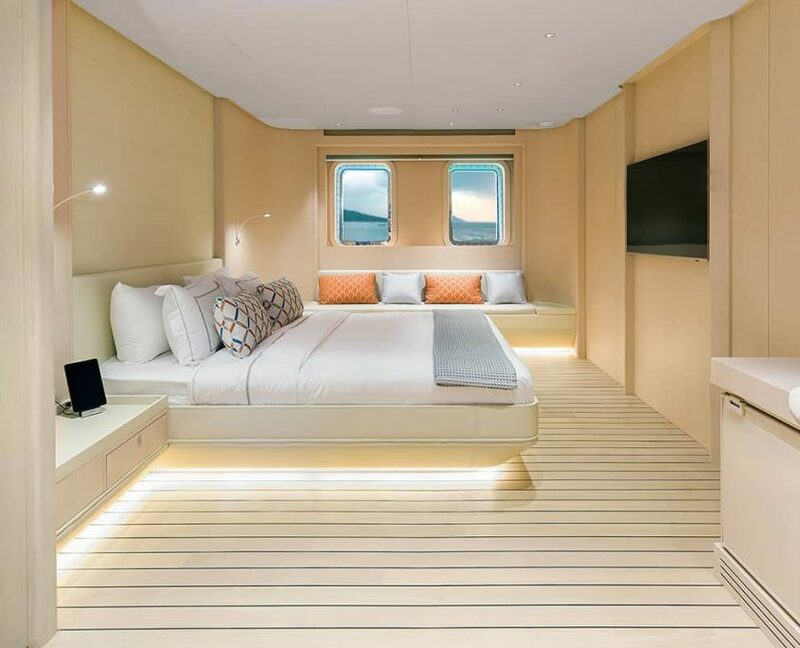 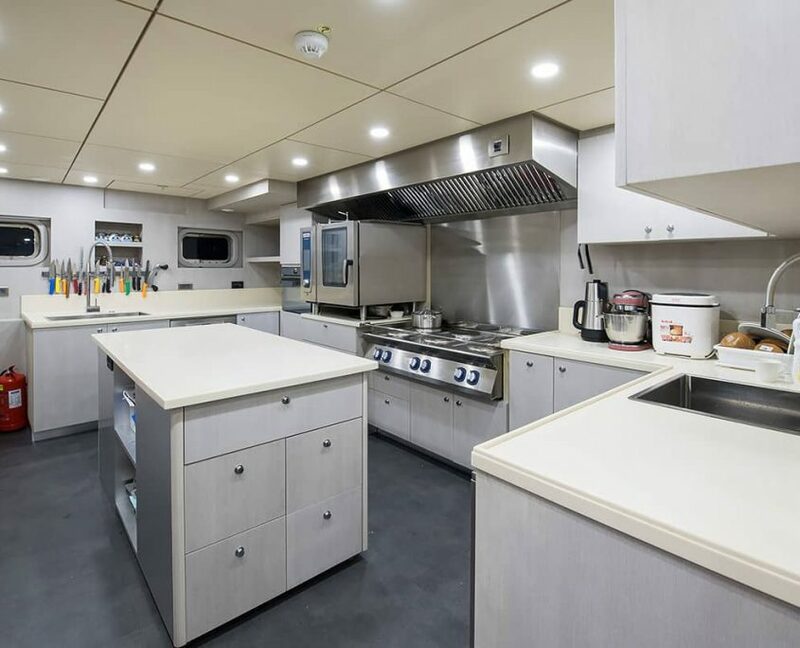 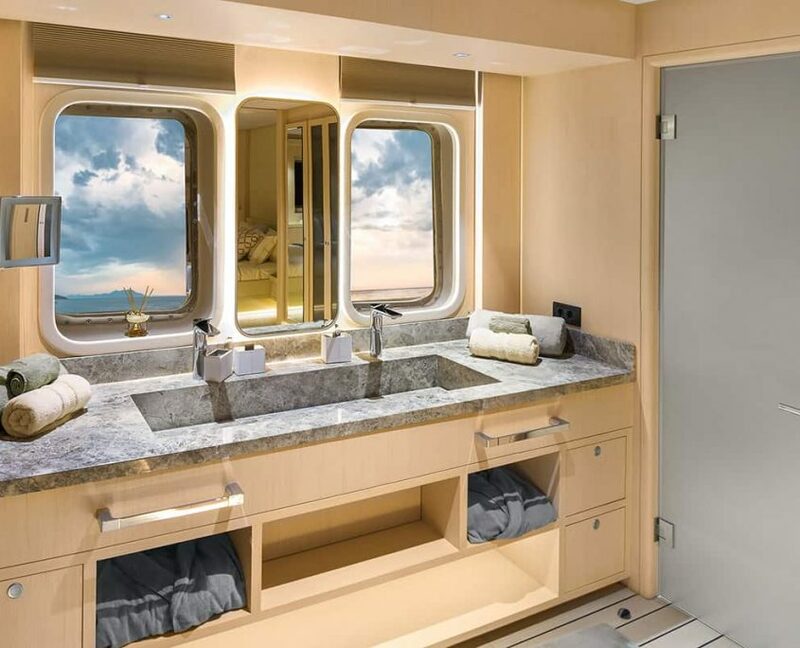 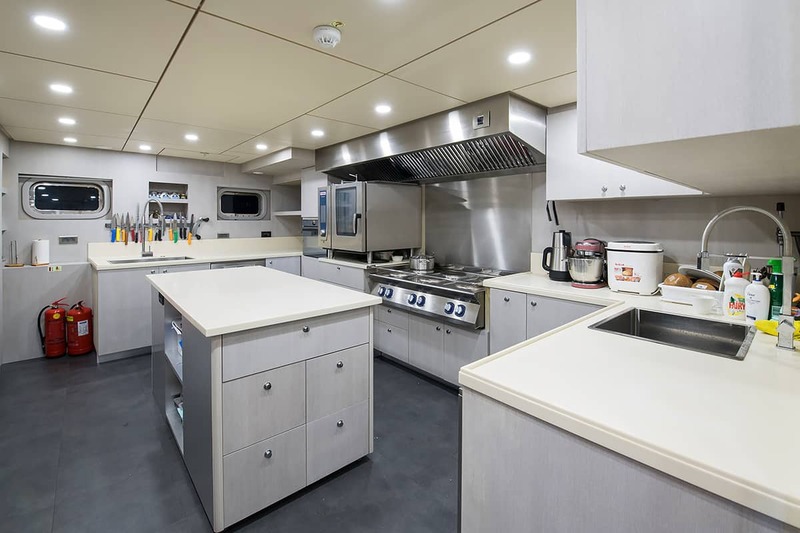 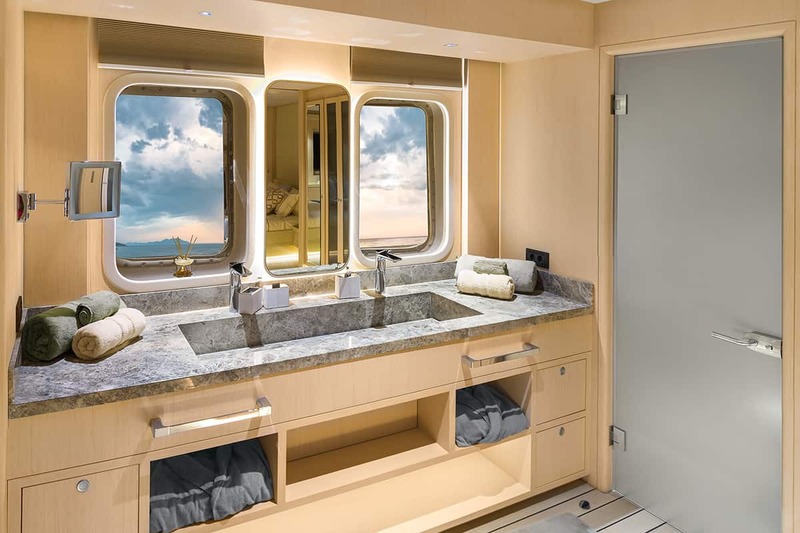 This yacht is simply built to make our guests live the comfort in a luxurious ambiance and serenity while cruising by the speed that goes up to 14 nautical miles.